“Cougar Pride” was commissioned by Washington State University in 2008 replacing the long tradition of a live cougar mascot named Butch. 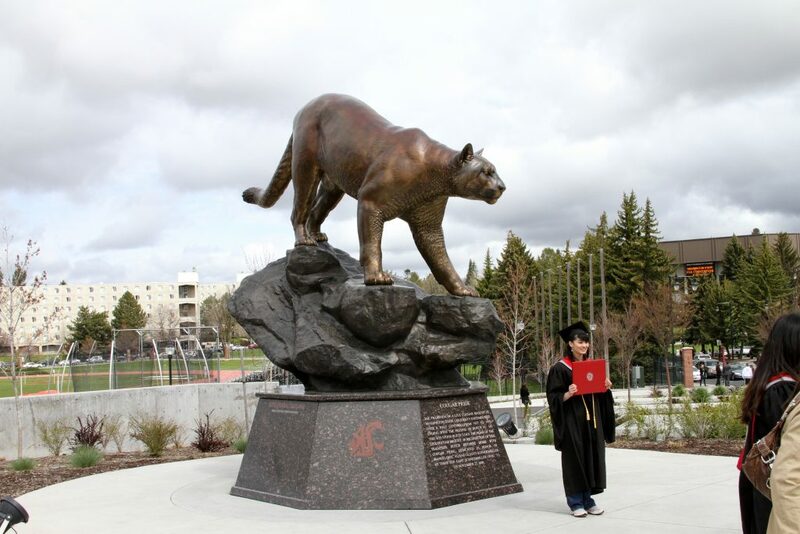 In 2008, my father and I were commissioned to create a 14′ high monument of Washington State University’s cougar mascot. 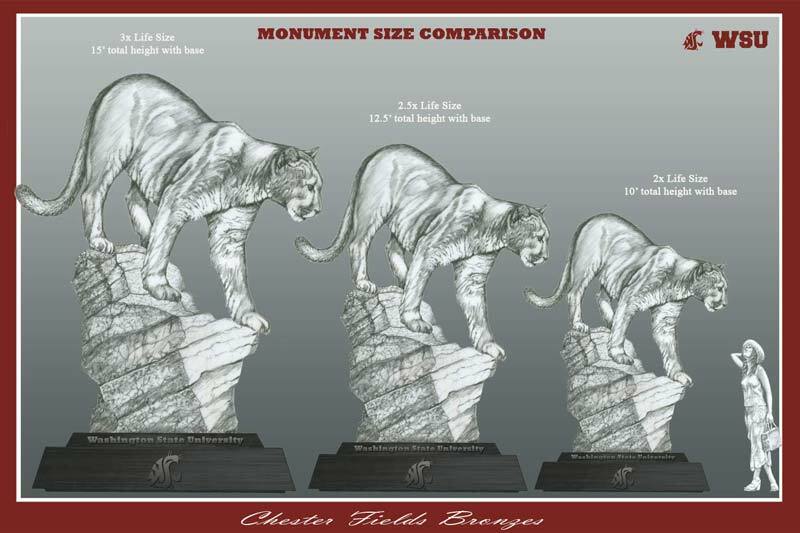 We also created three smaller sized bronze replicas of the monument to sell to alumni and fans. 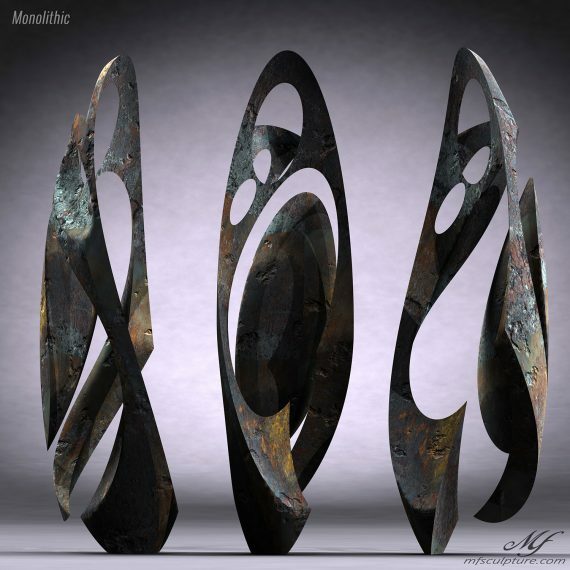 In this tutorial I will show you how I created the monument and three smaller sized replica bronze editions using ZBrush and the latest rapid-prototyping technology. This was my first experience with this process and perhaps the first time this entire process has ever been used in this way! 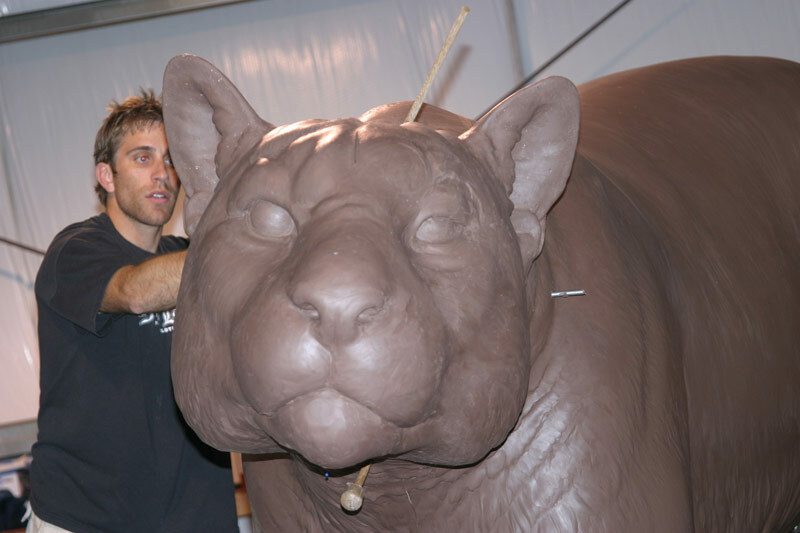 You will learn about the lost wax process, ZBrush, CNC machines, scanners, 3d printers, SLA machines, and much more. I hope you enjoy. 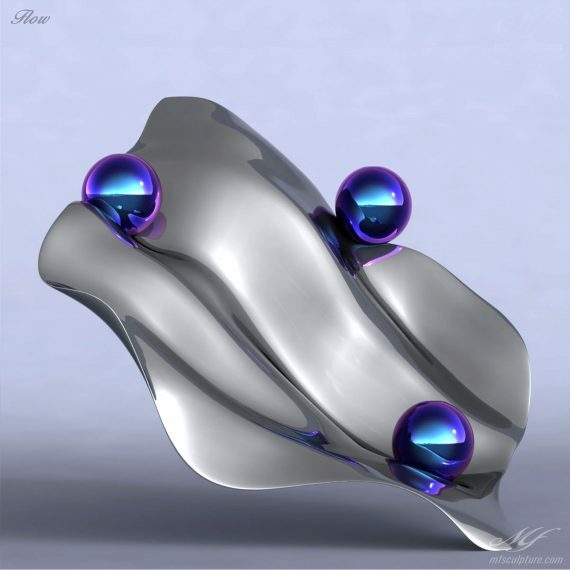 This tutorial is quite involved and has many phases of work. 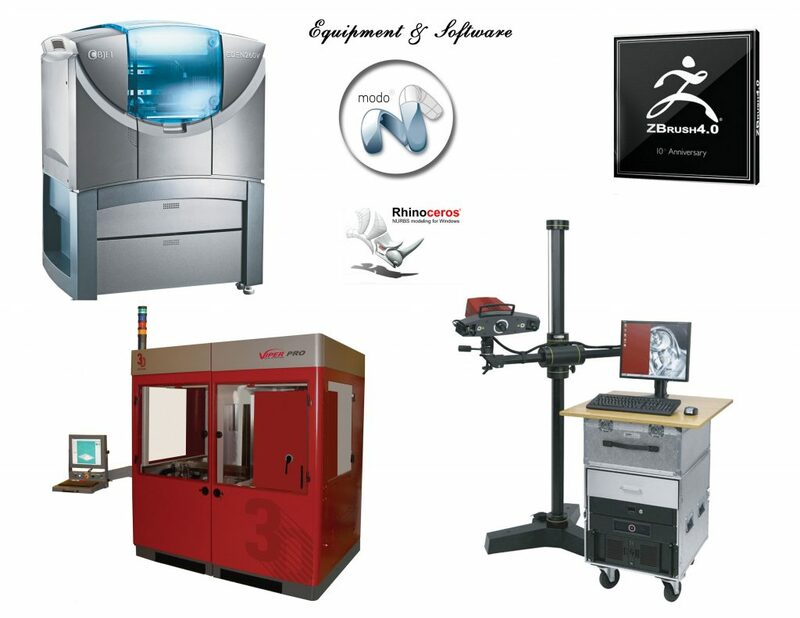 Shown here are the general tools, materials, software and equipment used in the process. This is not a comprehensive list, but some of the most important items are listed. 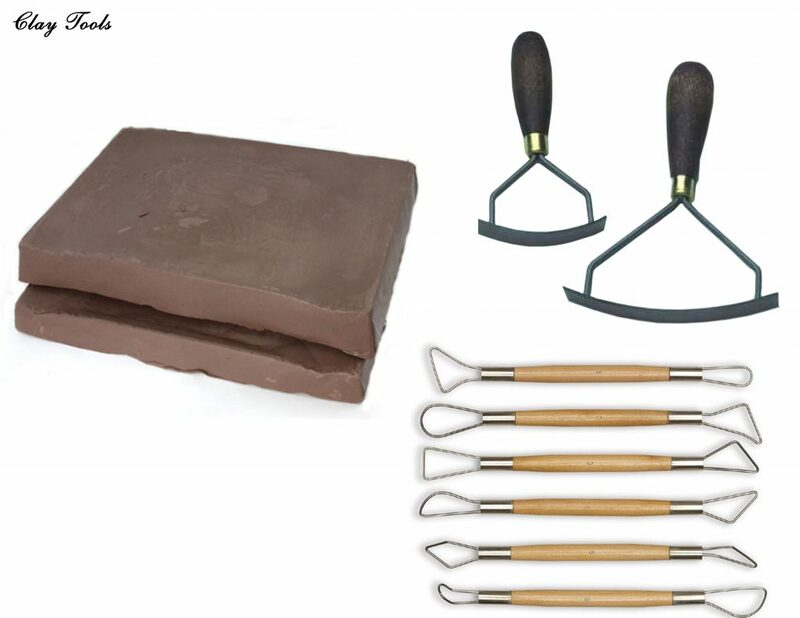 These tools were used in creating the monument. Detail tools – Richeson Double Wire End Tools – This was merely my choice in this project, but any similar tools can be used. Curved Rake – These are to even out large smooth areas. And of course your thumb and finger for lots of handwork! These materials are used to cleanup the objet and viper models which have build lines and sometimes need minor correction. 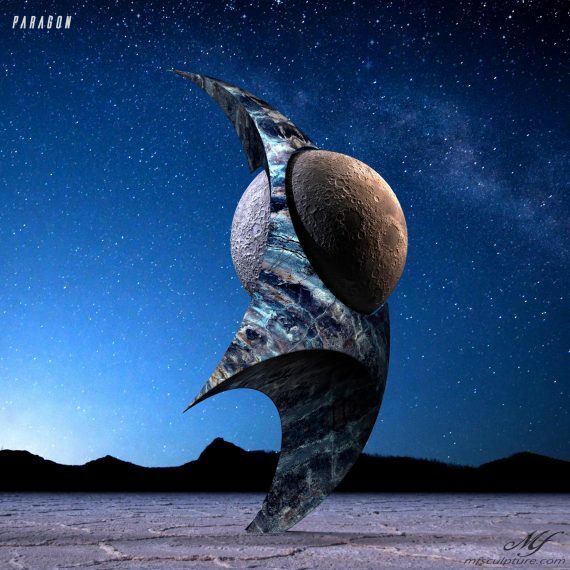 Filler – Adtech P-14 – a high grade filler. One can use standard body filler as well but this is nice stuff. Surfacer – SEM Flexible Primer Surfacer. This is thinner than the filler and great for filling holes and smaller cracks. Ruby and diamond bits – they run very clean and smooth. 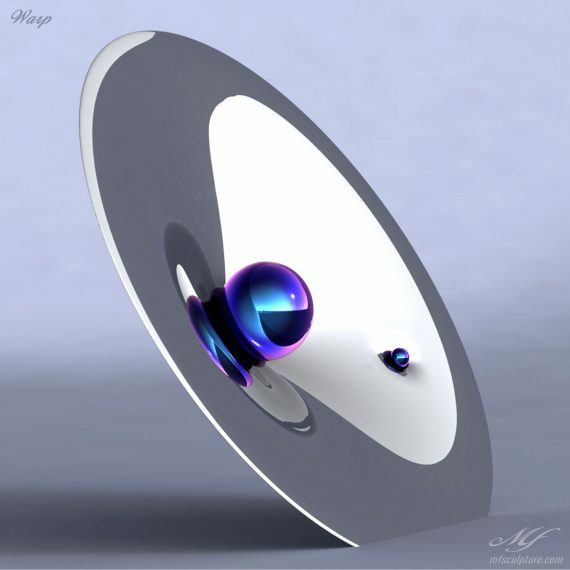 Wax – Ferris Patch-Eze – really, nearly any kind of wax can be used to fill pinholes. Wax tools – helps to press the wax into holes. Mixing Board – Clean Sheets – multiple paper sheets are great to mix filler on. 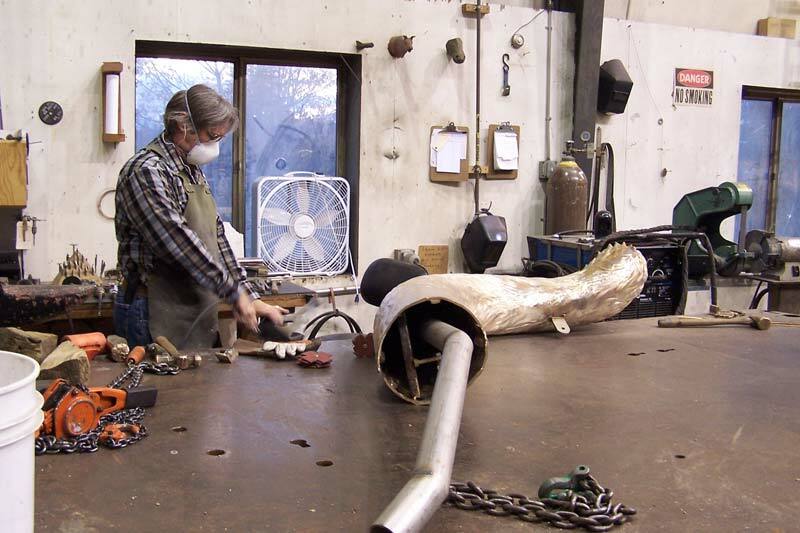 Here is the equipment used in creating the monument and replicas. There was additional hardware specific software used. At this stage it is important to have clear communication with your client in order understand what they envision. Very often they don’t have a well-defined vision, so it is very helpful to put together some concept sketches. Take advantage of this stage to make adjustments as changes become progressively more difficult and expensive as you proceed. 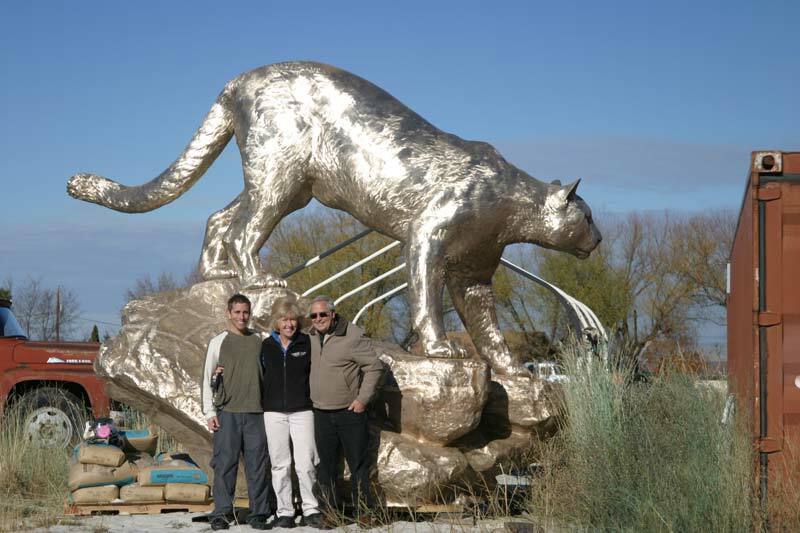 For this project we felt it was important to create a large monument for full impact and presence. As you can see, one of the sketches helps visualize various scales. As a side note for projects – it is very important to have definitive language that spells out all expectations for both parties in contractual form. Deposits and milestone payments are very important. Always remember that if there are no hidden assumptions or expectations a project is much more likely to go smoothly. 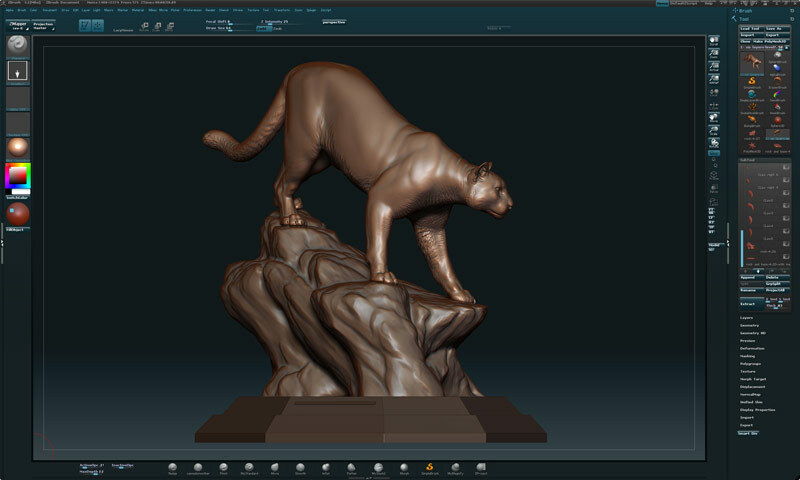 Creating the master in Zbrush was a great experience. 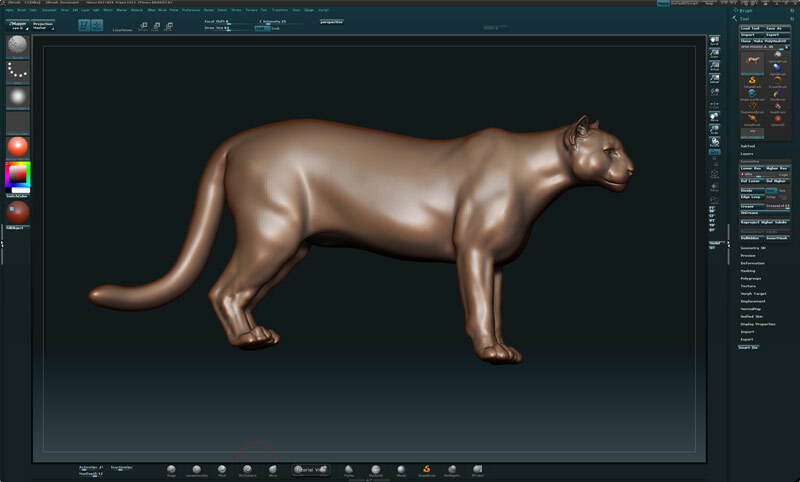 ZBrush has amazing abilities like sculpting on layers, posing, undo’s and the ability to make proportional changes without affecting detail! 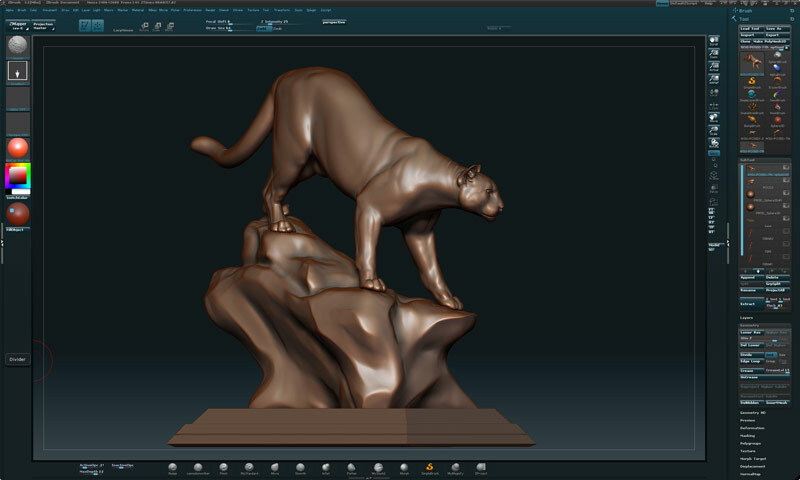 Creating the master in Zbrush made the project quicker than a traditional approach and enabled going directly to monument without a maquette. 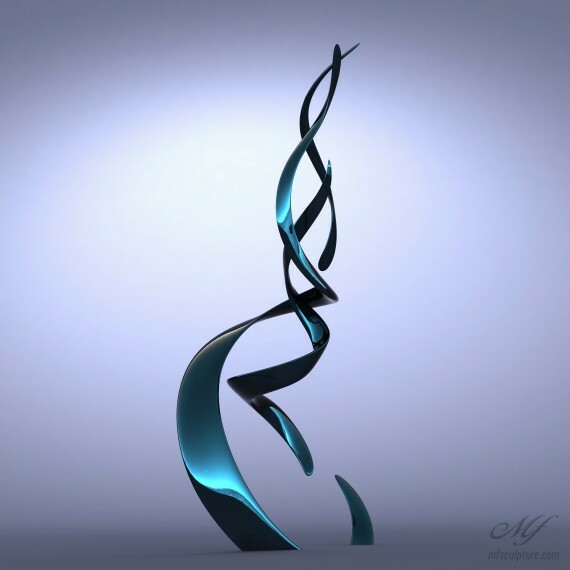 It is crucial to pay attention to how light interacts with your sculpture. Pay close attention to both the shadows and highlights as they are key to understanding the form. I find it helpful to use a high contrast directional lighting set up to reveal form. 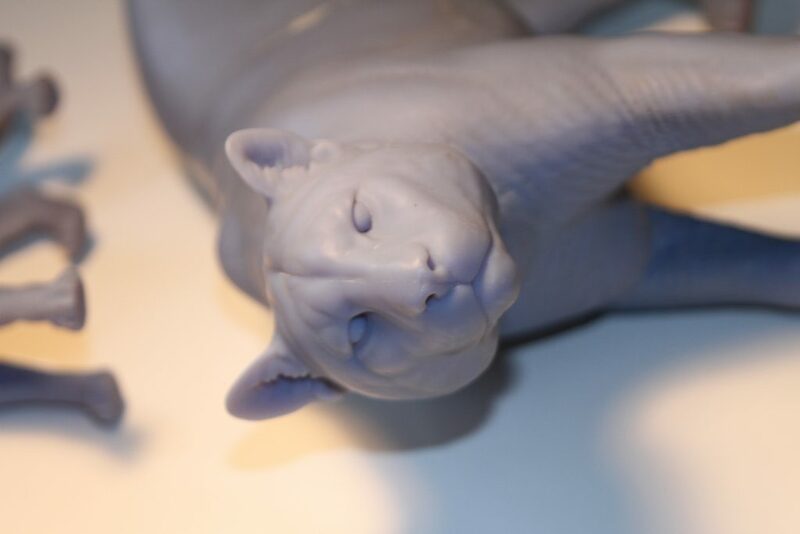 Move the light around the sculpture to ensure anatomy is accurate and clean. 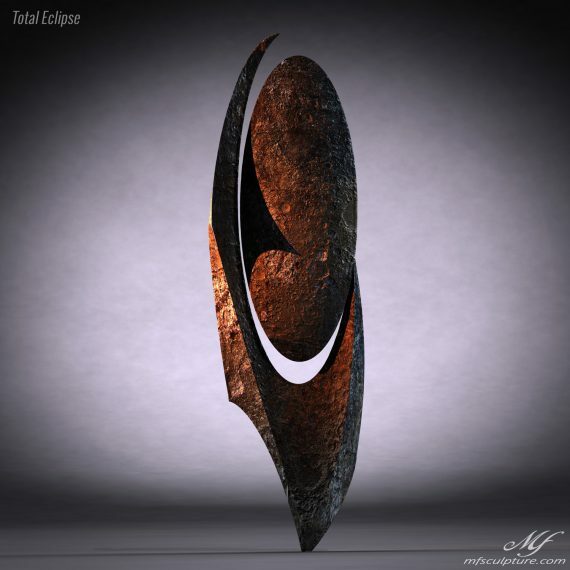 Notice where the light and shadow break up and have continuity across the sculpture. 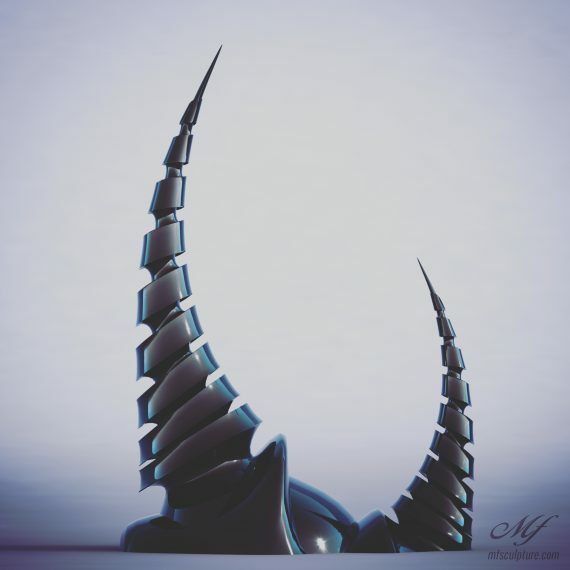 A major advantage of Zbrush is that you can move back to the lowest subdivision level even after you have added fine details and make corrections to primary form without destroying your detail work. 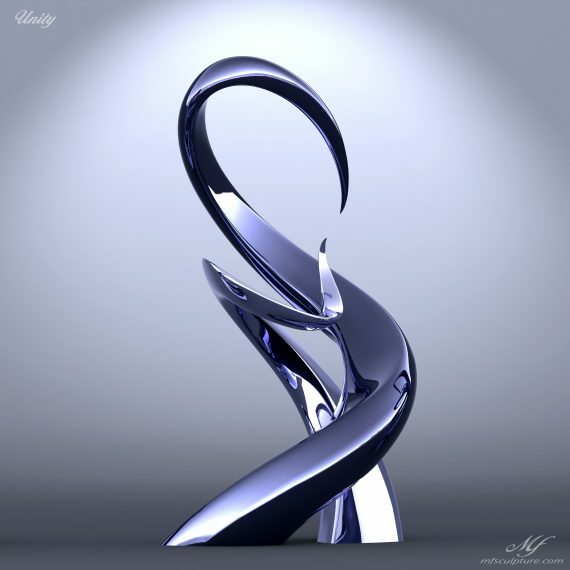 At this point, you are still sculpting in symmetry mode, which cuts your early work in half. 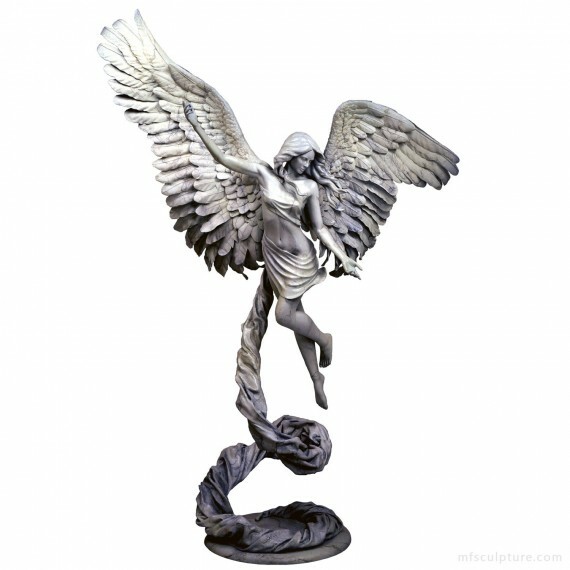 Next, you will be posing your sculpture to give it proper gesture and attitude. 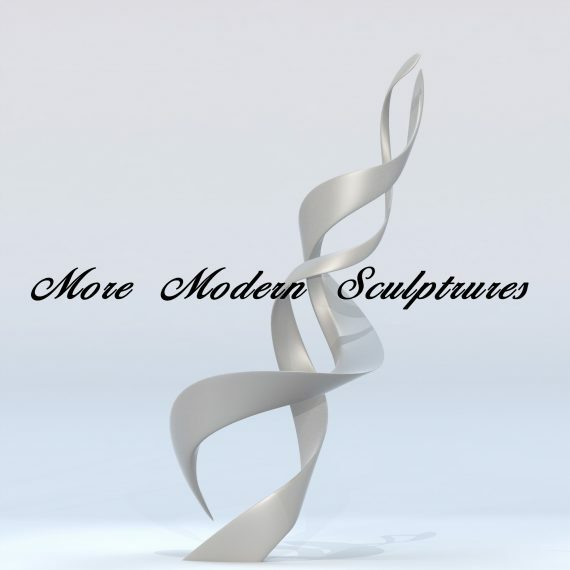 Composition is the most important aspect of designing your sculpture and where many artist fail. Choose a composition that has a great silhouette (positive and negative space) and that supports the overall emotion that you seek to convey through gesture and balance. 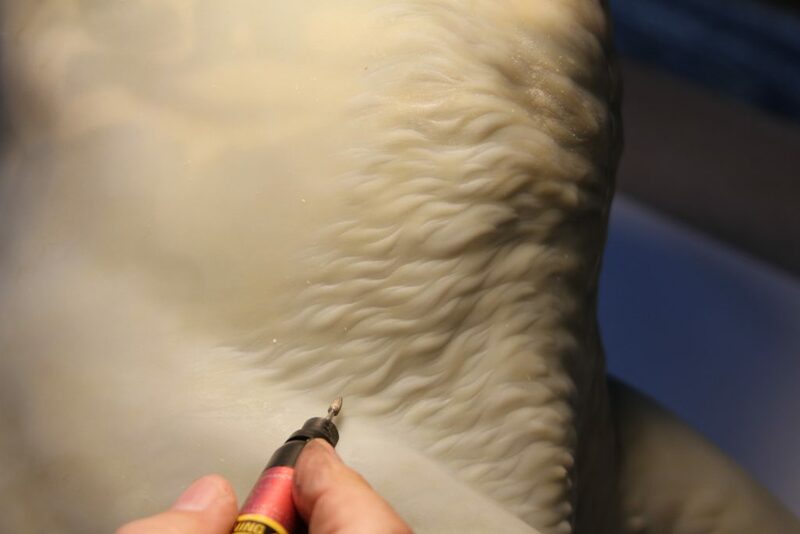 Although you can use pose-able symmetry after posing a sculpt, it is important to add a sufficient amount of detail before posing your sculpt to prevent unnecessary sculpting. Keep in mind that when you pose your sculpt the anatomy will shift and you will have to redo some work after you break symmetry. 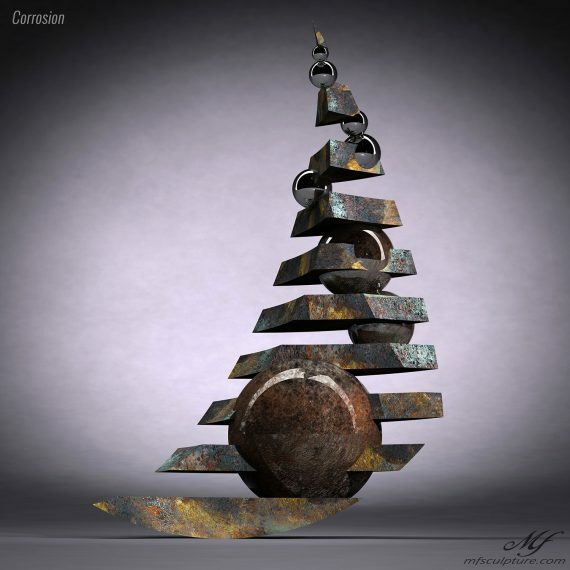 Throughout this process it is also helpful to have your client involved (assuming it is a commission). This ensures that they are happy and minimizes the amount of rework later. 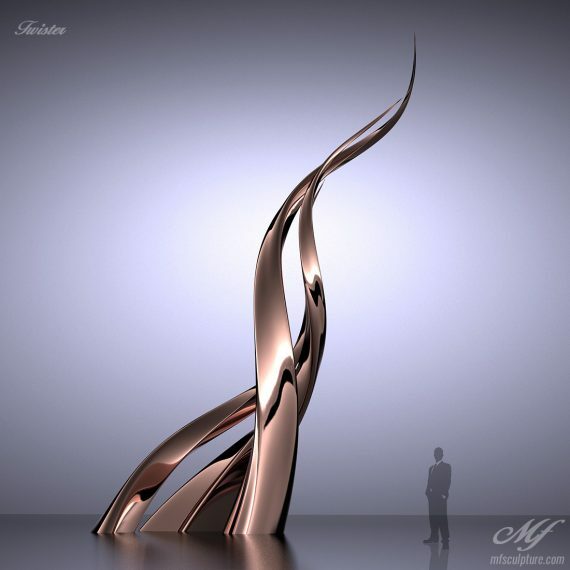 Once you and your client are happy with the final model, you are ready to send it to the CNC machine (or 3d printer). Find a company that has extensive experience as it requires a high level of skill and experience to properly deal with the files and machine. Rob Arps at Additive Workshop in Portland was great to work with and a superb gentleman. 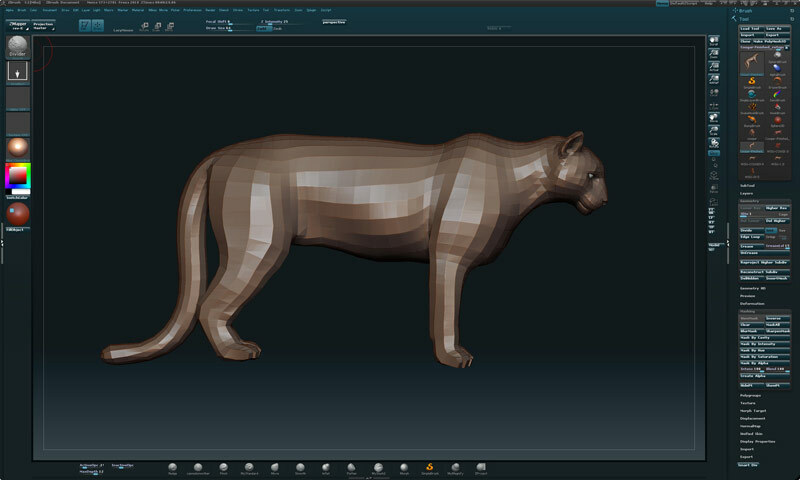 It is important to cut up and orientate the 3D model to optimize for detail and minimize “shadowing,” which is where the CNC cannot access undercuts. 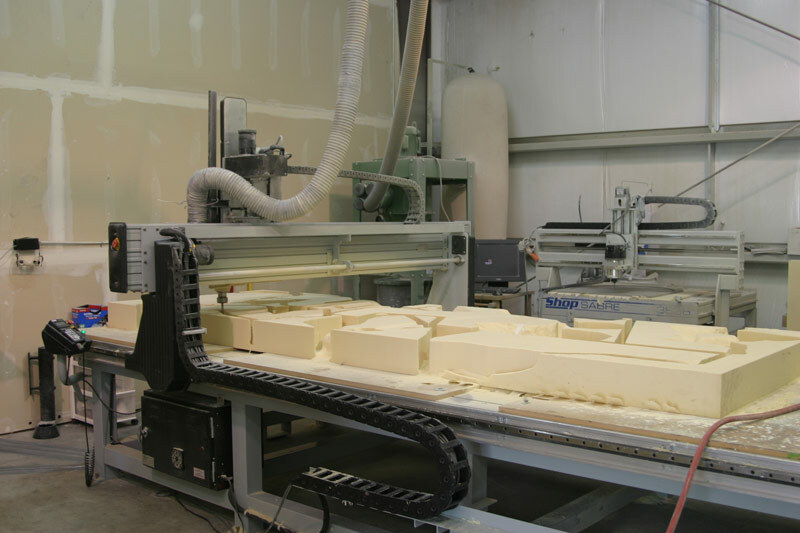 Robotic arms drastically minimize shadowing over flatbed CNC machines. 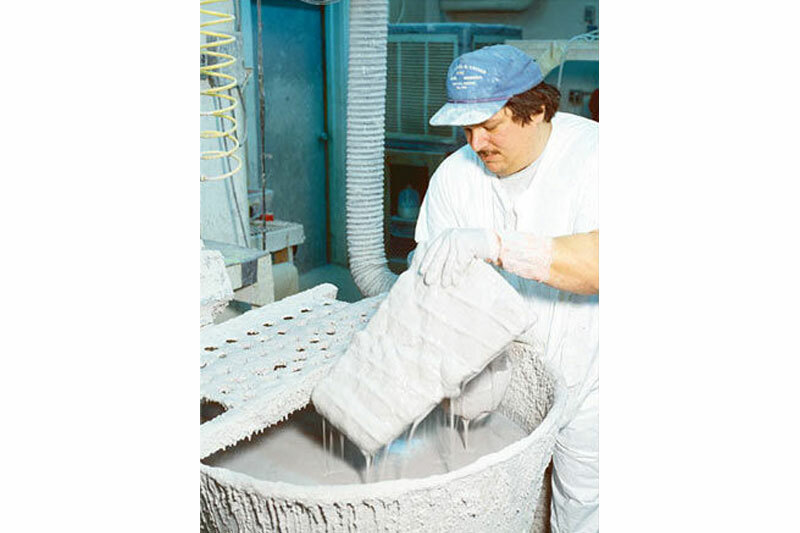 Selecting the proper foam is important. 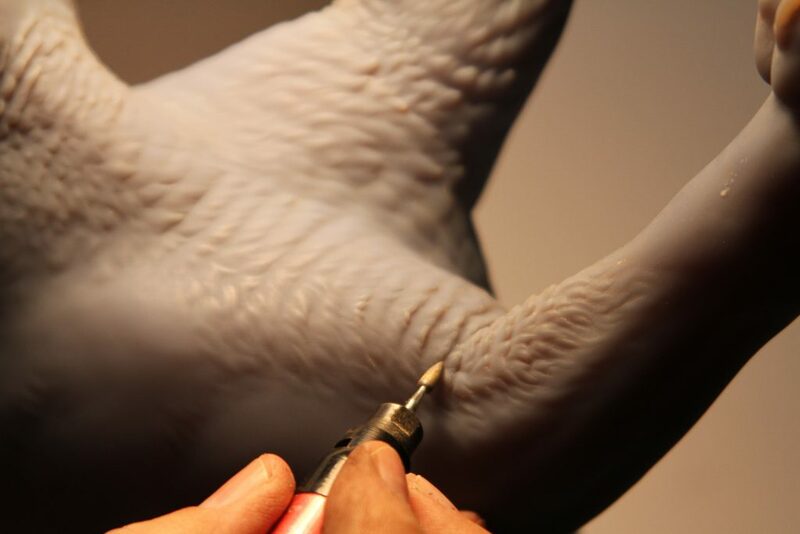 Low cost lightweight foams are much cheaper, but do not maintain as much detail and you cannot sculpt on them. 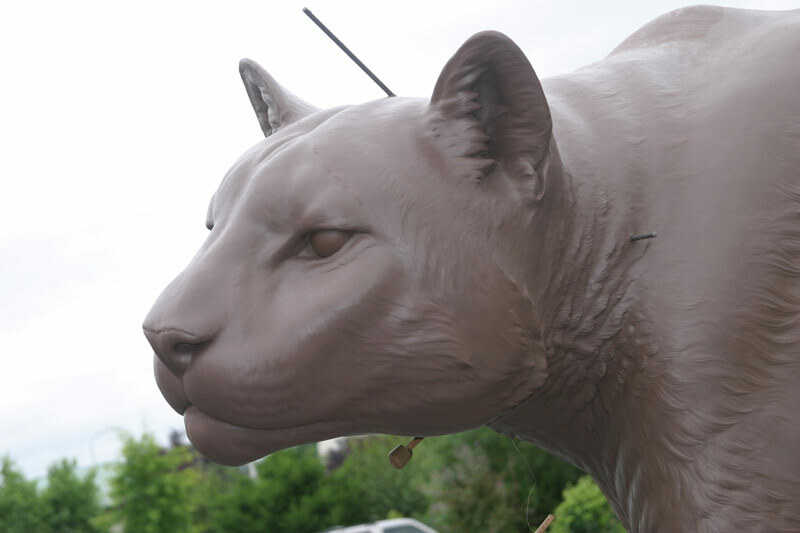 A low grade insulation foam was used on the cougar which meant a loss of detail and some out gassing issues later (clay bubbles when exposed to heat). 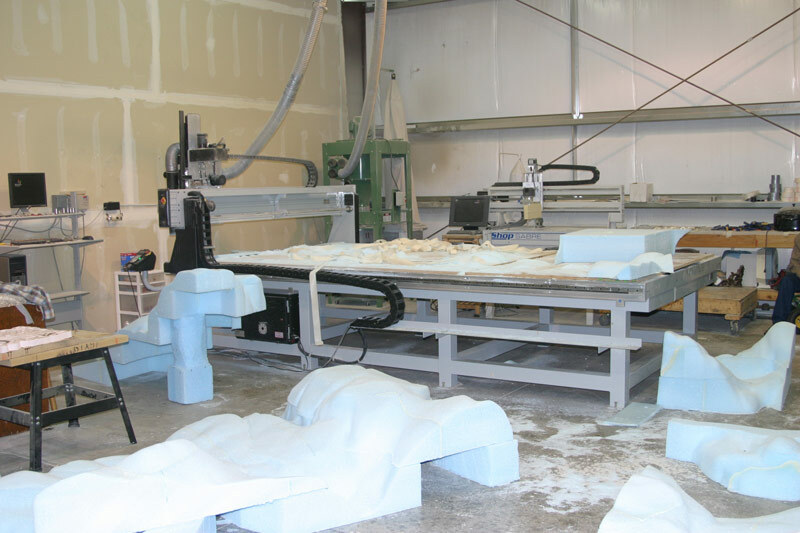 Once the foam has been milled by the CNC machine, it is necessary to assemble the pieces using glue, fittings and armatures. We made the head removable so it would be easier to sculpt. 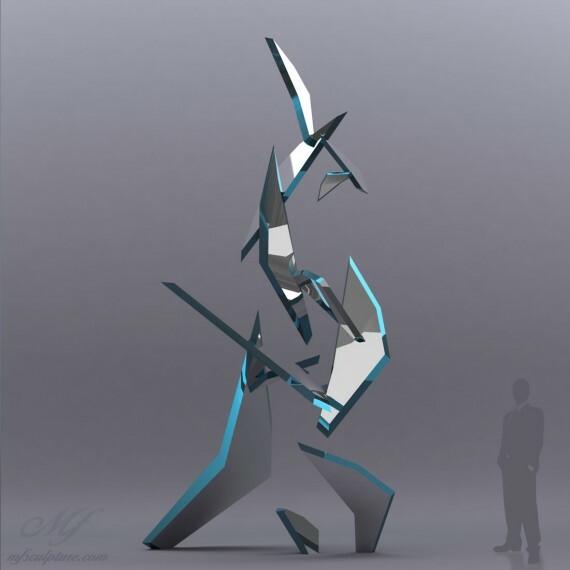 Next project, I will CNC or 3d print a maquette before going directly to monument. 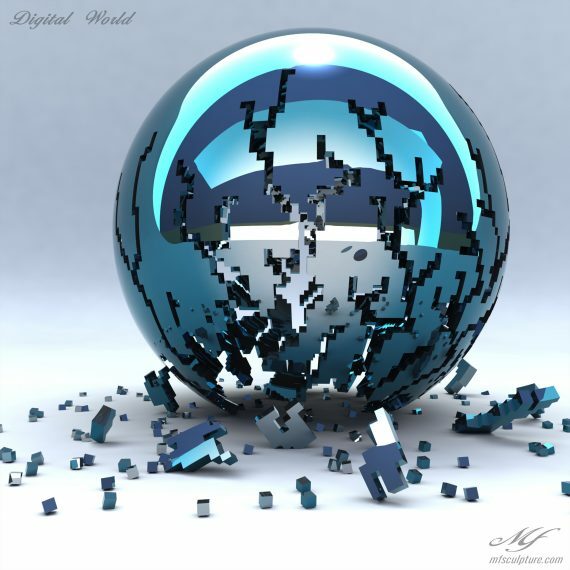 There is too big of a risk that you are not seeing things properly in the virtual world and this gives another opportunity to make changes or refinements. Now that the foam is assembled the fun begins. 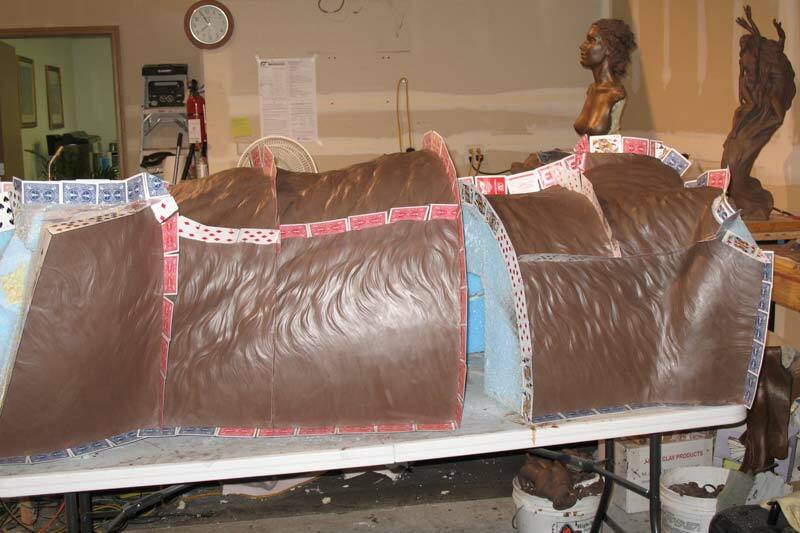 First a thin layer of clay is painted, sprayed or hand applied to the foam ensuring complete coverage. Less is more in this case. Apply what is necessary to get a clean surface that does not show foam texture, but not so much as to cover detail or waste clay. Once the clay had been applied, we began scraping back some of the clay. 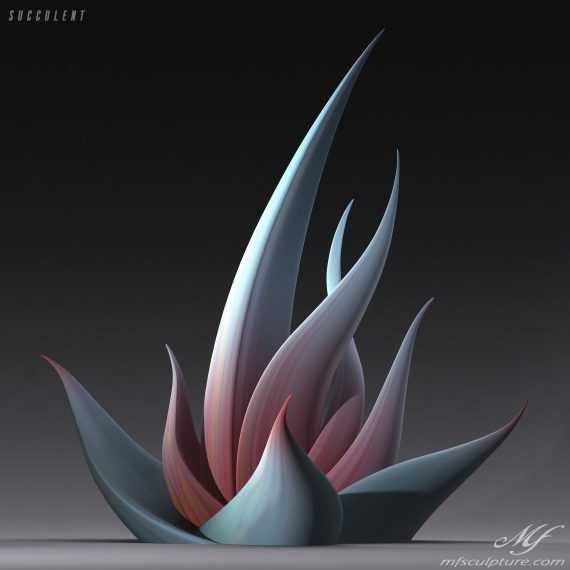 The goal of this piece was to achieve a hybrid of contemporary and traditional style so it was important to keep the original clean curves intact. Next is a rough out pass, where detail that was lost, or not in the original model, is fleshed out. 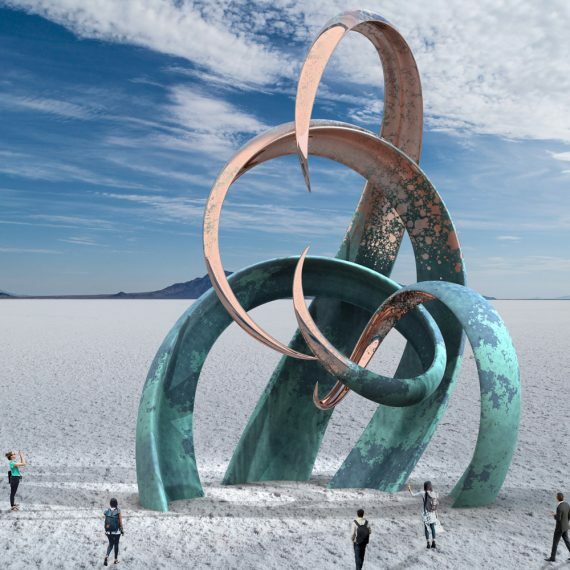 At this stage — since application is still rough — it is important to apply the same concept of gesture to the detail to ensure the overall feel of the piece is expressed and supported. Once detail has been roughly laid out, now it is time to go back over the detail to clean it up and make sure it has the final touch. 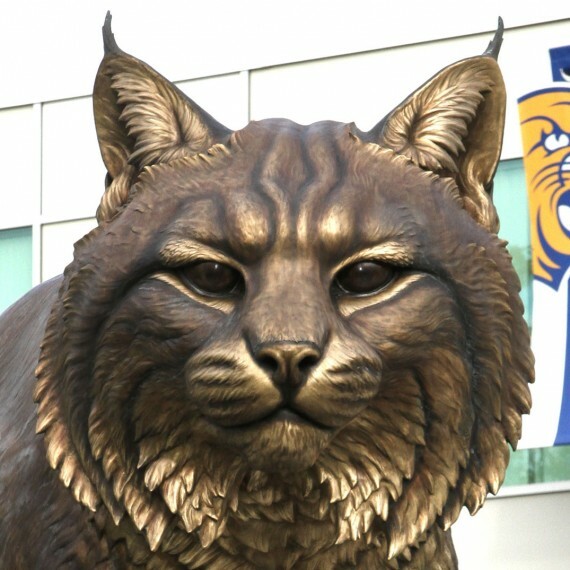 Once the head was covered in clay it became apparent that not enough time was spent properly sculpting it in Zbrush. 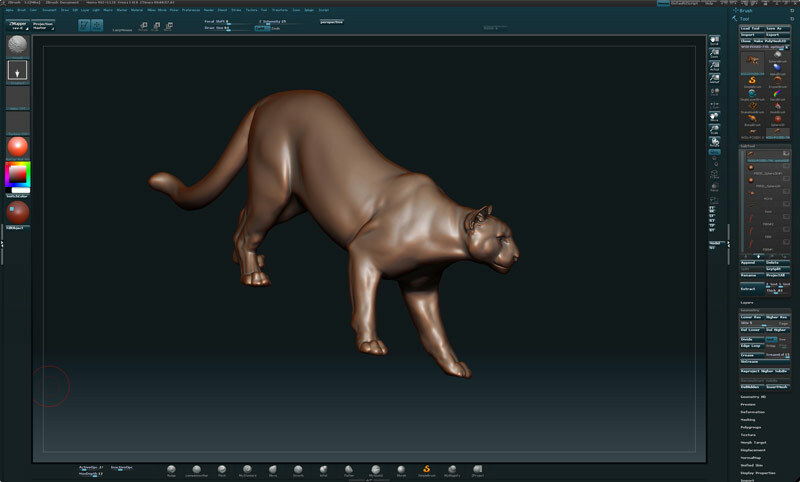 It would have been much easier to do it right in Zbrush the first time. I almost completely re-sculpted the head since the head is the most important part of a subject. Most of that work was done with my hand and basic clay tools. 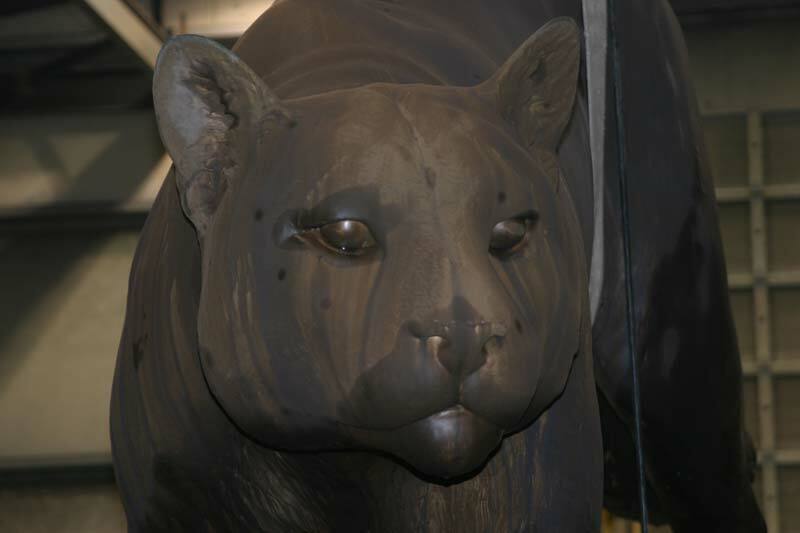 Rob machined the eyes out of hard plastic to ensure that they were perfectly round and would interact with the light properly once cast in bronze. Eyes are the most important part of the head. In this case, I chose not to simulate the pupils with cut-ins. The original rock created in Zbrush was much too simplistic and inaccurate, so after looking over literally thousands of basalt rocks we finally found a great one. Some customization needed to be done by breaking and adding rocks and doing some clay work. 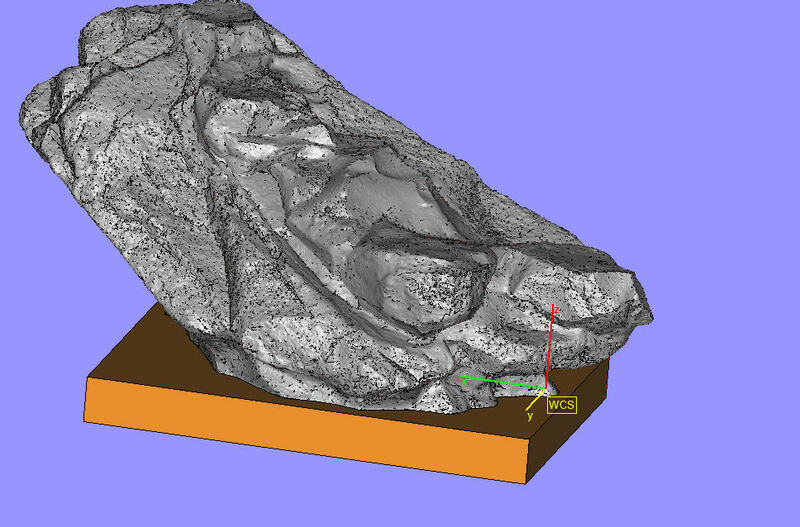 This rock was then scanned and CNC’d out of dense and very expensive foam. We used wall compound to fill the seams which proved to be a little too hard to easily sand and tool. 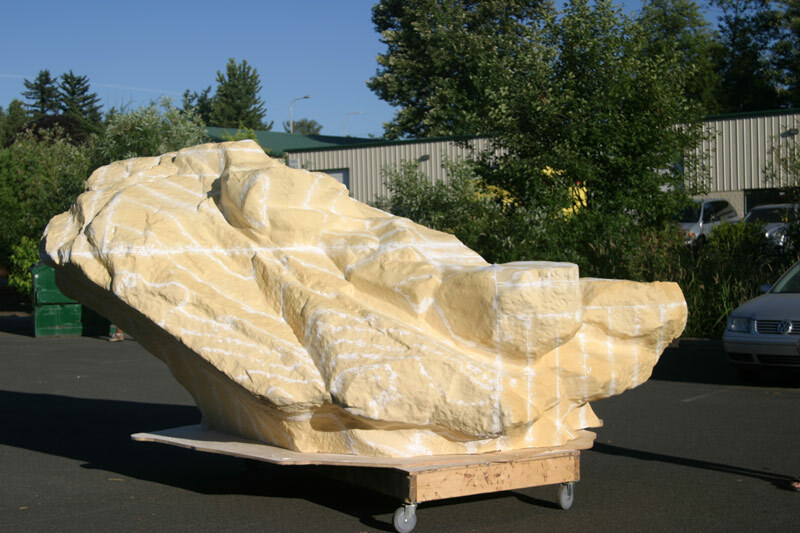 Once all the seams and shadowing were tooled and sanded, the whole rock was painted in a urethane coating. 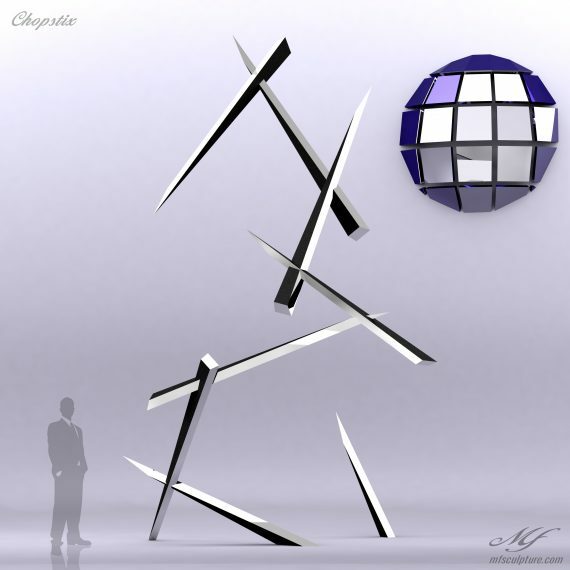 The monument titele, as well as my father and my name were CNC’d out of a hard plastic and embedded in the rock. 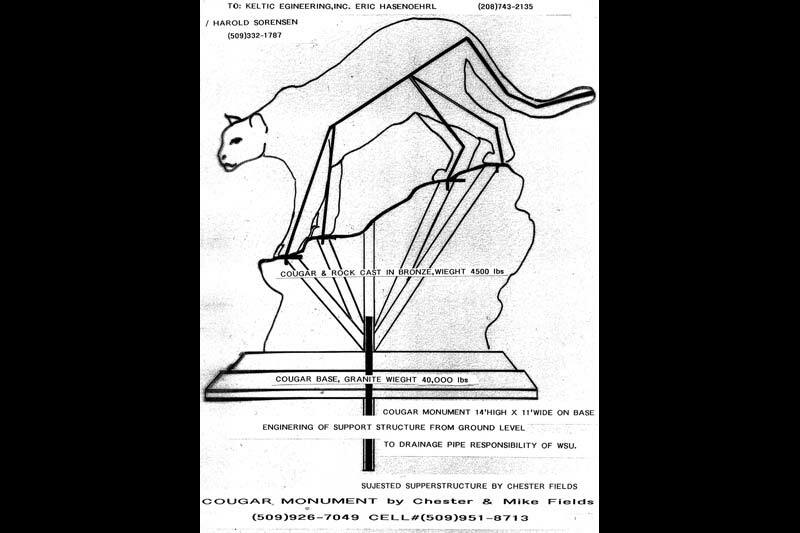 Since the cougar could never be lifted up and set on the rock without incurring damage, a three dimensional template with the positions of the cougars feet was welded together to ensure the rock at cougar fit together properly. 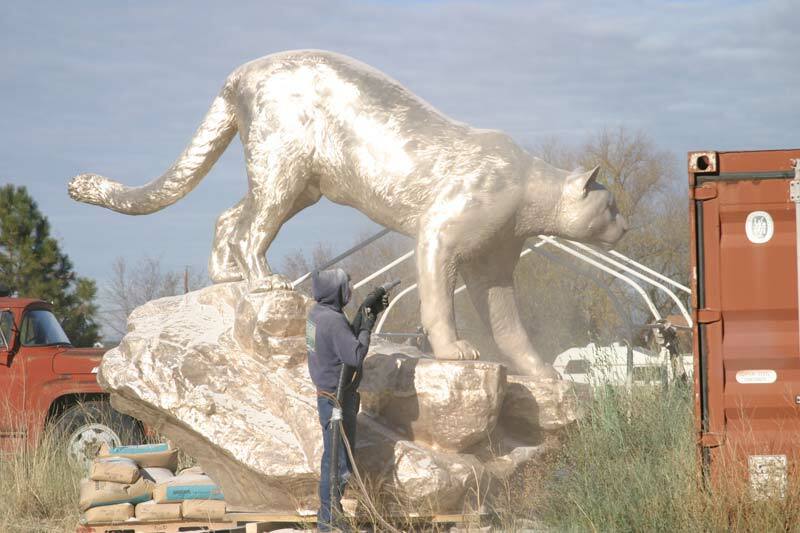 Now that the rock and cougar are completed, it is time to mold them. 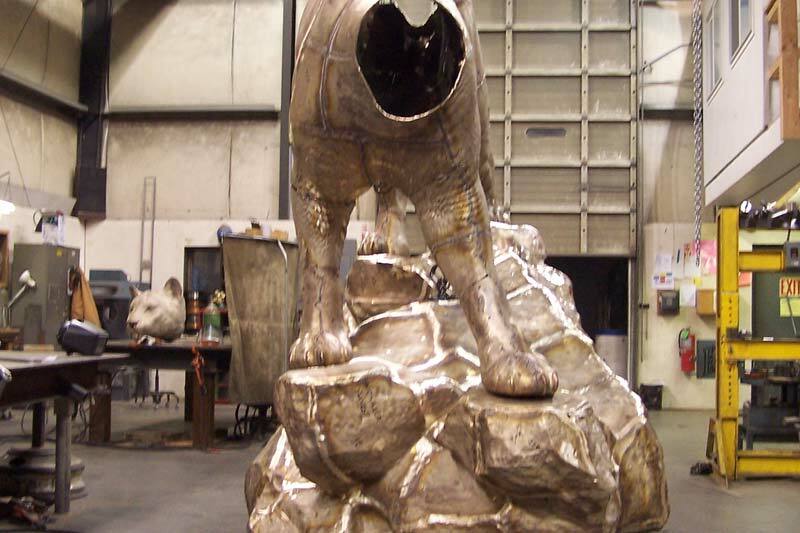 Foundries can only cast small panels 16″ x 16″, so the sculpture needs to be cut or partitioned into pieces which separate the individual mold panels. 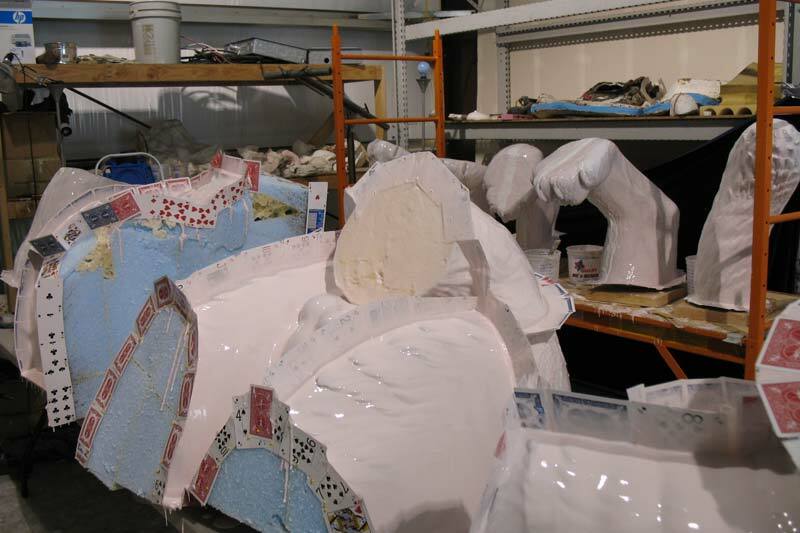 Once the sculpture has been partitioned into sections (in this case with playing cards), then silicon rubber is painted over the surface. 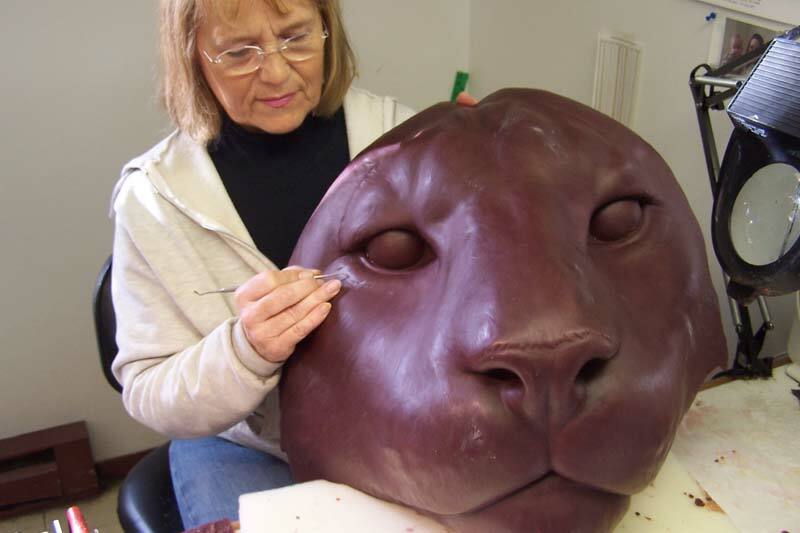 Once the entire surface has been coated in silicon rubber it must be backed by a “mother mold”. 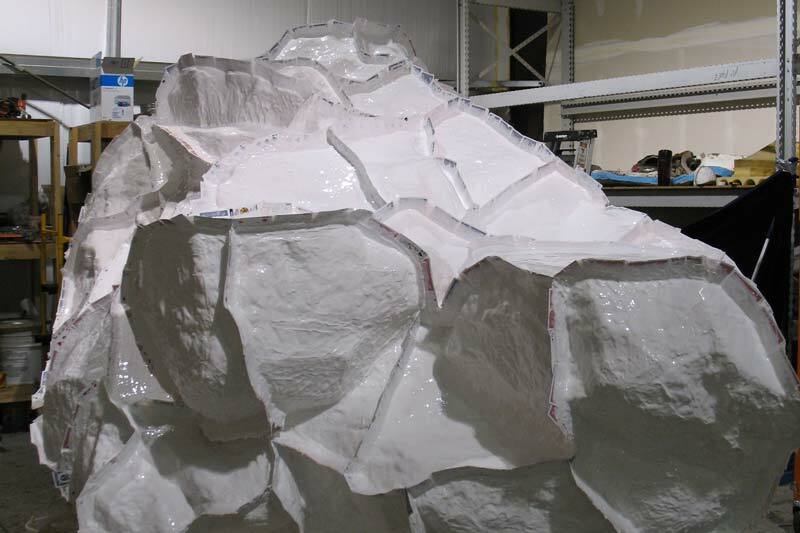 This is usually plaster or epoxy and holds the shape of each panel since the rubber has no structure. 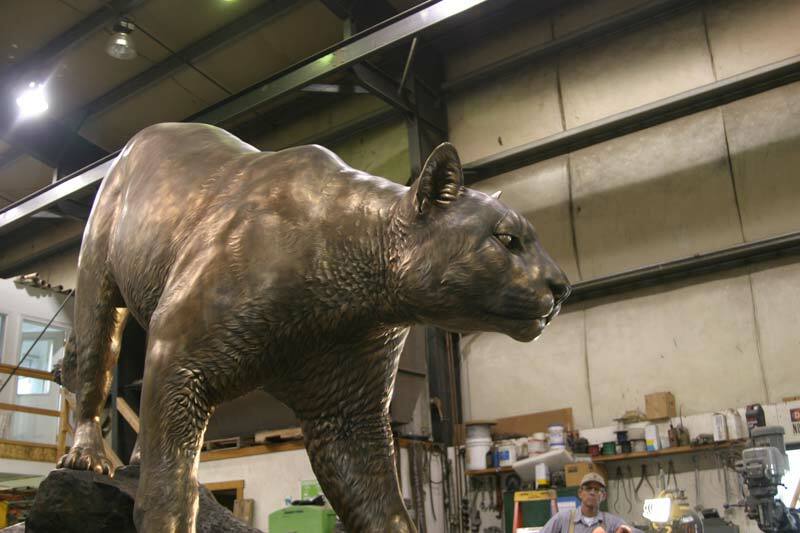 Each mother mold panel should be numbered and a map created so the foundry can later assemble the bronze panels. Now that molding is complete, it is time to pour wax in each panel, in this case 165 of them! 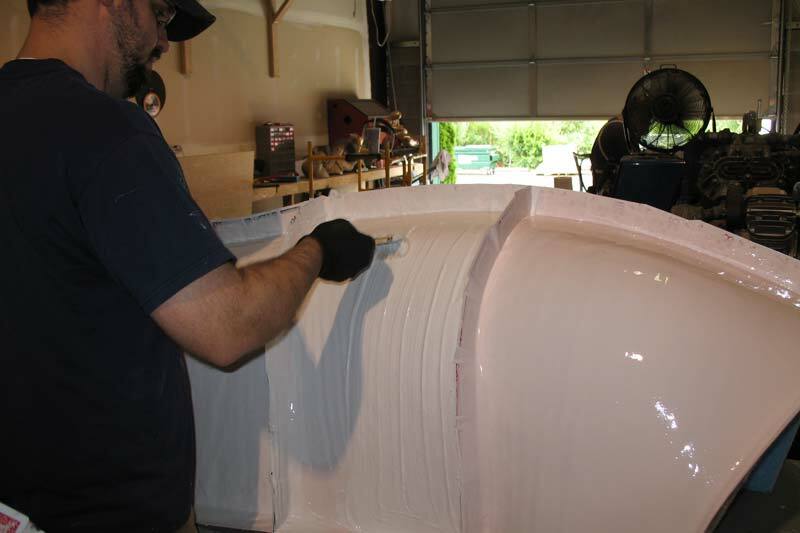 A thin layer of wax is poured or brushed on the inner surface of the mold making sure to get an even and complete coat. 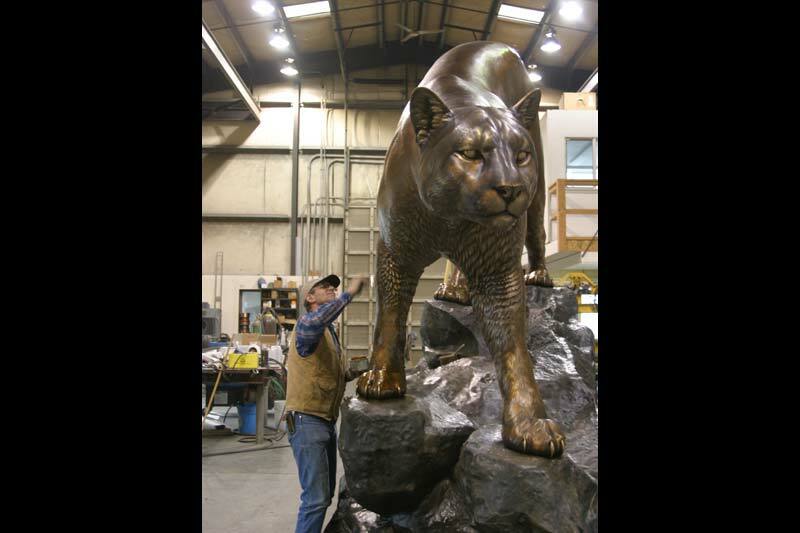 The thickness of the wax will eventually be the thickness of the bronze, which is roughly 3/8″ – bronzes are almost entirely hollow, especially the larger they are. The wax has to be poured at a very specific temperature, which determines its viscosity and tendency to create bubbles. 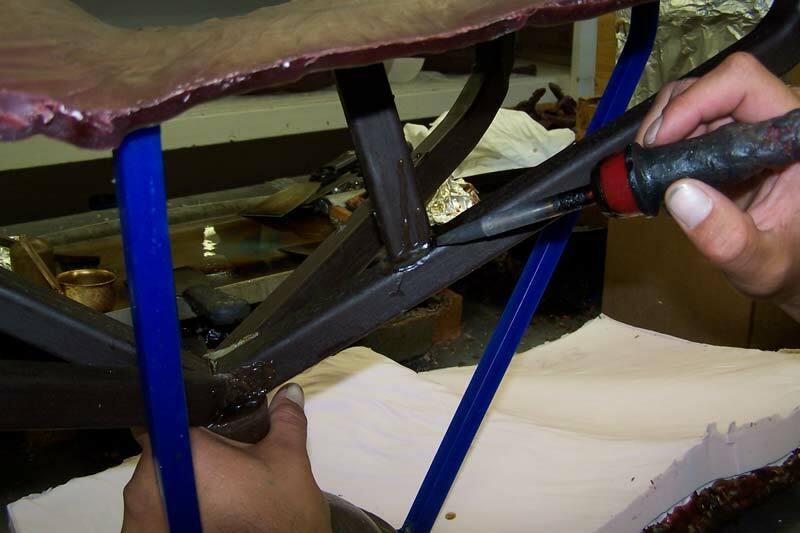 Once the wax cools, “wax chasers” retool the wax to remove “bogies” which are pinholes or other defects in the pour. 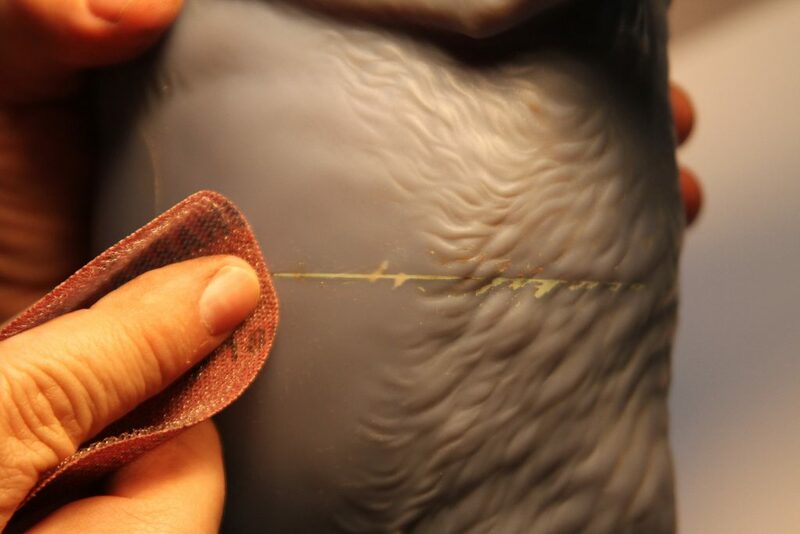 The chased waxes then have gating applied to them. 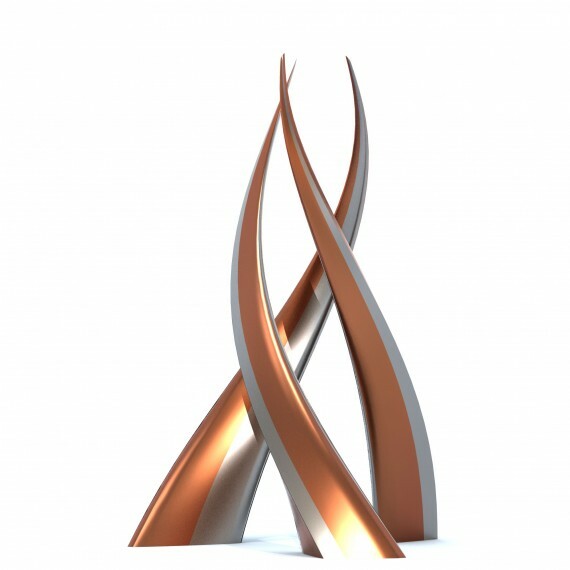 The gating determines how the bronze will flow into the panel. 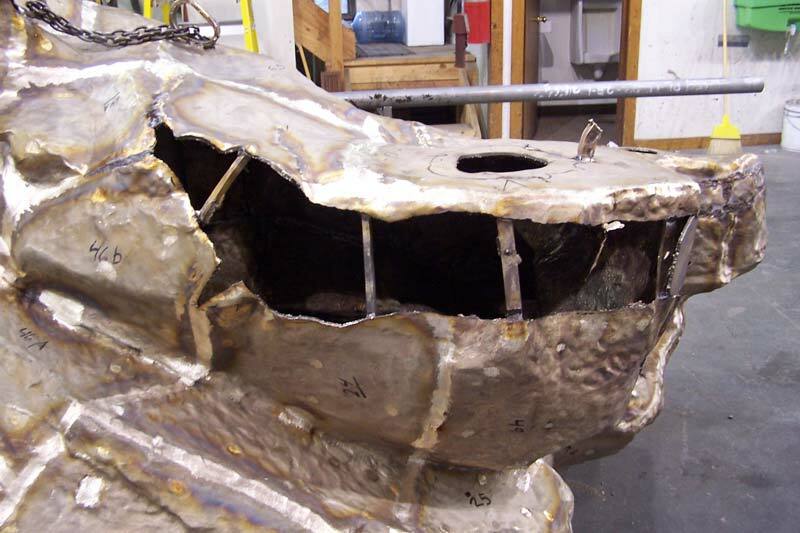 For some complicated pieces a well-designed gating structure is critical to getting a casting without cracks and “porosity”, which are small holes in the bronze. 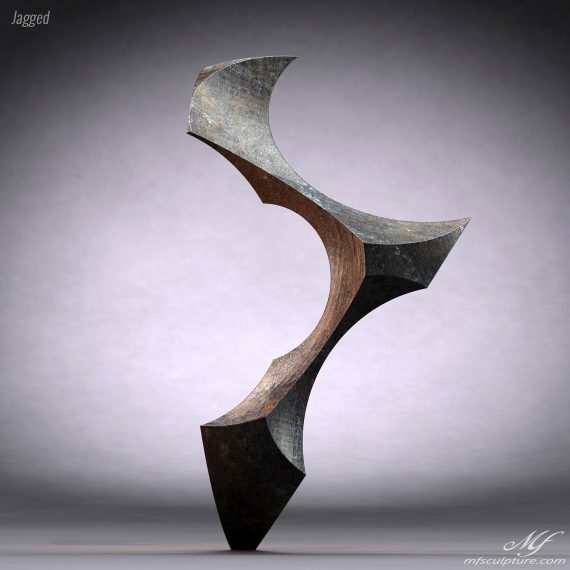 As the bronze cools it contracts differently for convex shapes vs. contour shapes which causes the bronze to pull apart. 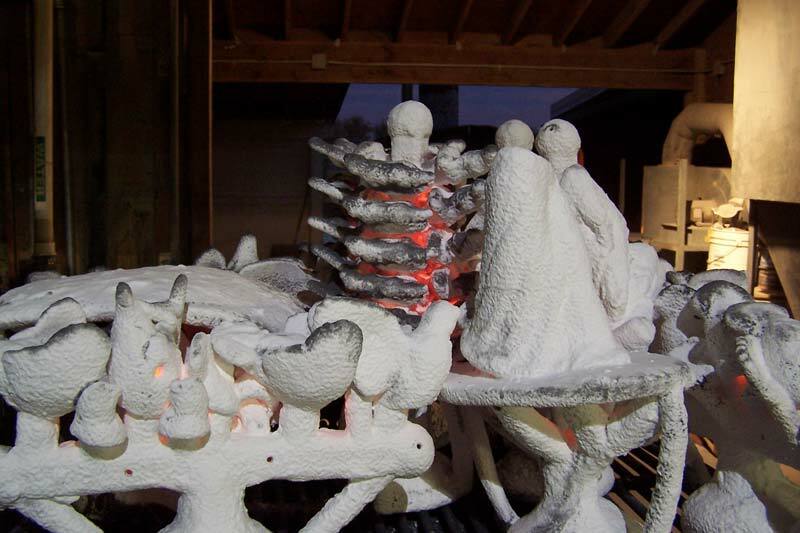 Sometimes chills are added, which pull heat away from certain areas faster as the bronze cools. The cooling issues make it very important to cut up a piece properly. The tooled and gated waxes are now ready for a slurry dip. 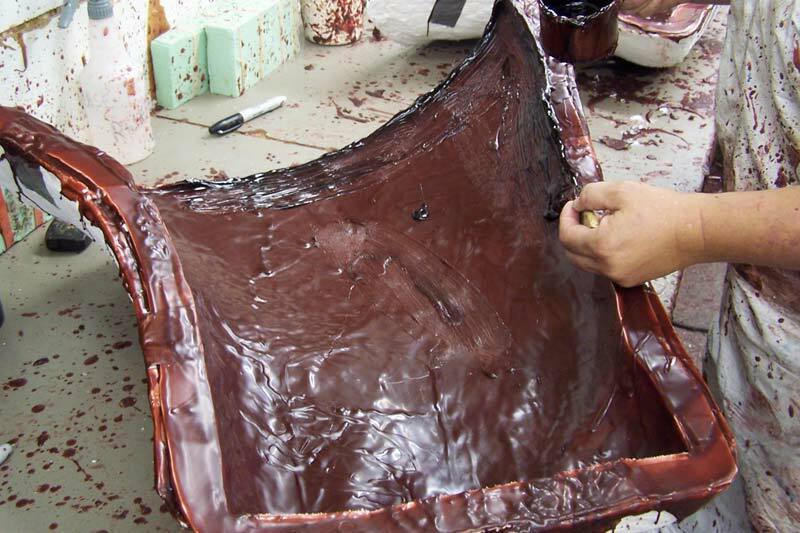 The wax patterns are dipped in progressively coarser grades of ceramic slurry over the course of several days. 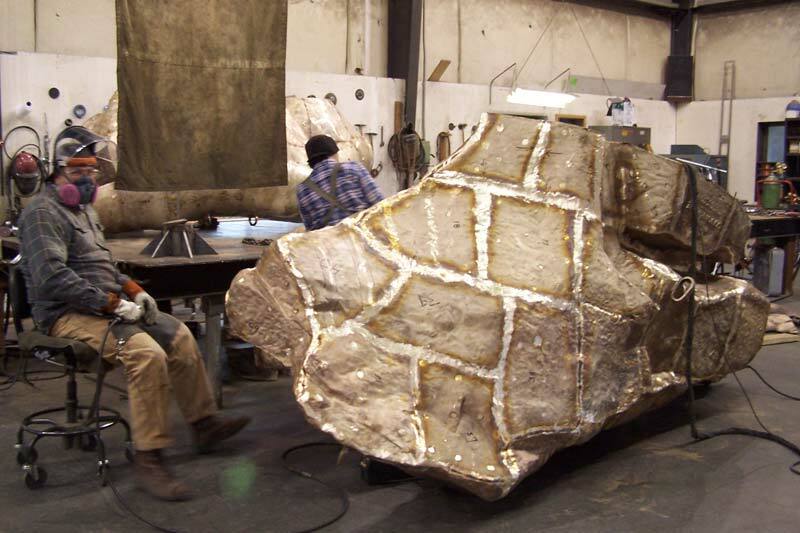 Allowing each layer to dry properly is essential to a good casting, otherwise the bronze may break through the shell. The slurry room is kept at a very precise temperature and humidity. 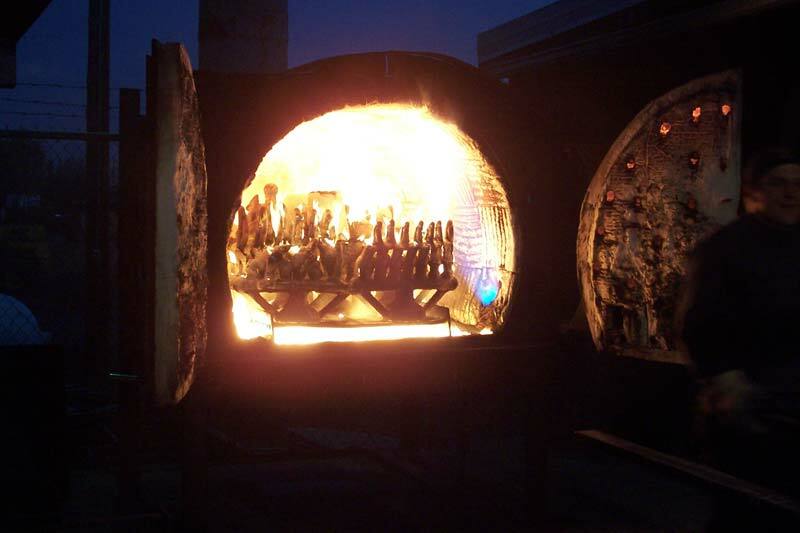 Once the shells have dried they are then placed in a furnace where the wax is melted out leaving an empty shell with a negative of the original wax pattern. 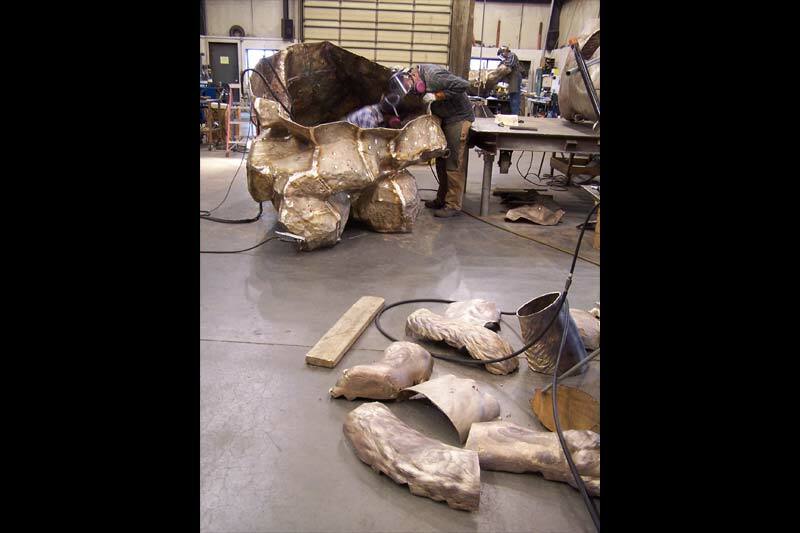 The still warm shells then have molten bronze poured in them, filling the precise void left by the wax pattern. 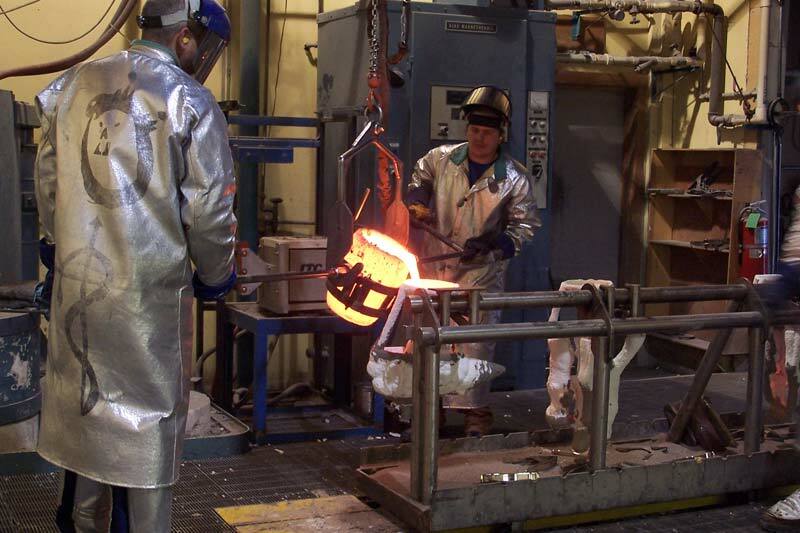 Minimizing turbulence and crude elements in the pour is important to a clean casting. 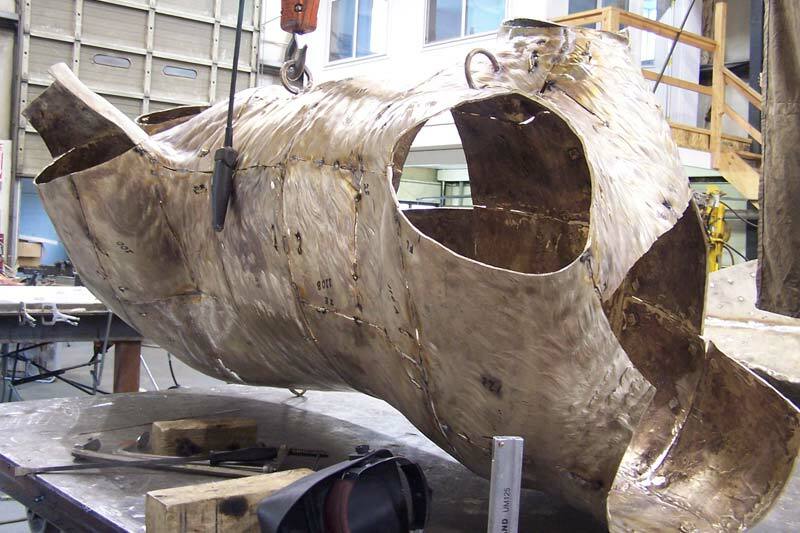 Now that the bronze has cooled, the shell is broken off, leaving a replica of the original wax pattern in bronze. Since each panel cools and contracts differently, each panel needs to be reshaped with air hammers to make sure they all fit together seamlessly. 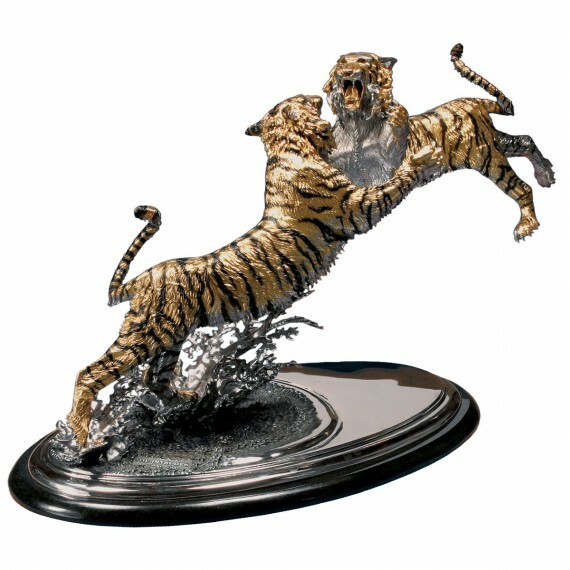 Imagine assembling a 165 piece puzzle in three dimensions with each piece curled up a little! Each piece is then tack welded together and then finally welded completely. 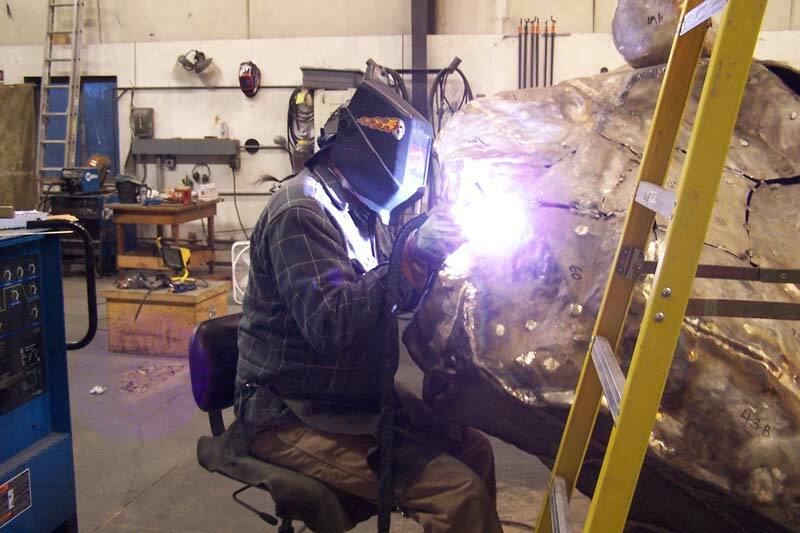 The welds not only cover the seams, but also are crucial to the structural integrity of the piece. 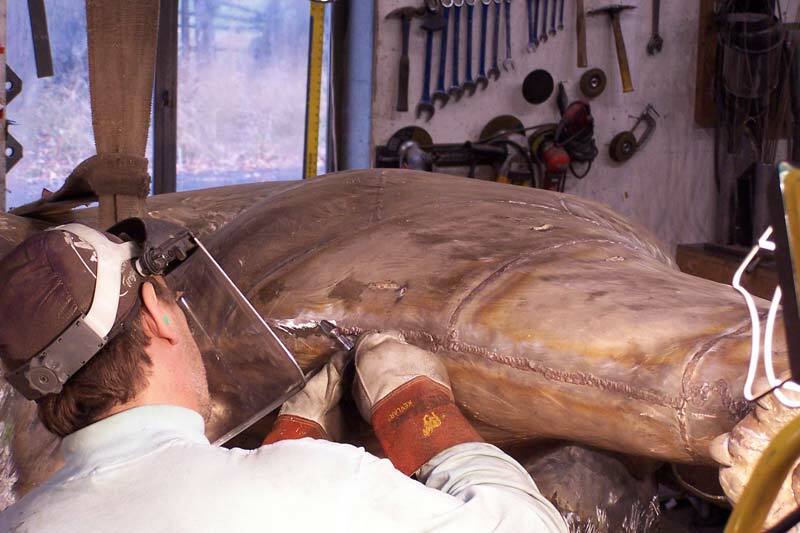 Every weld needs to be chased out to make it flush with the bronze casting. 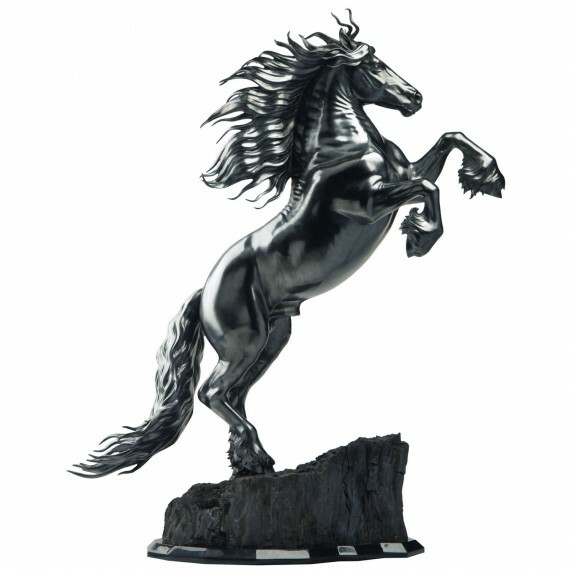 This sculpture had literally thousands of feet of welds that needed to be chased! 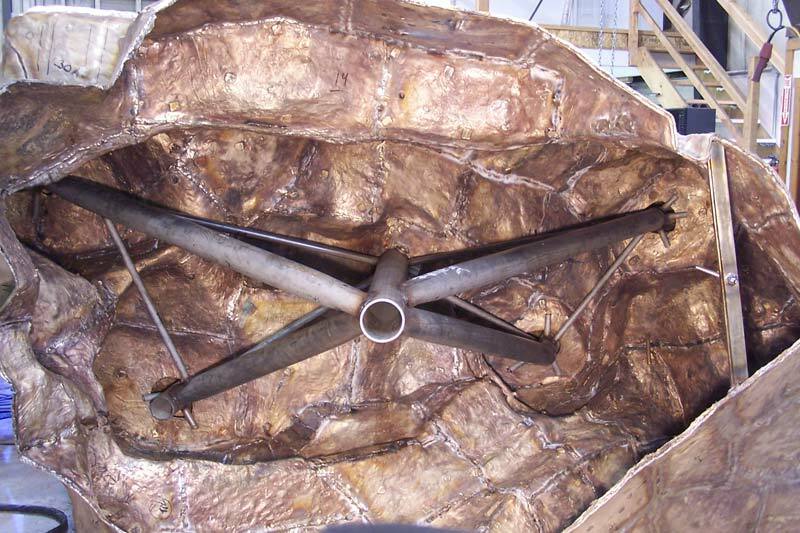 No casting is perfect, so bogies – pinholes and “nerds” (small protrusions of bronze) – must be welded and chased to keep the casting true to the original. 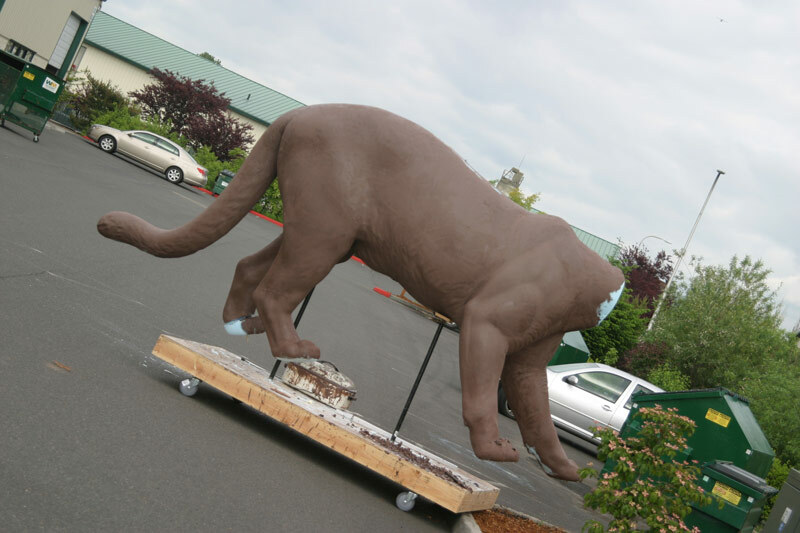 Unfortunately, the template for fitting the cougar to the rock had an error, so the foundry needed to cut the rock and pour some more panels to fill in the gap in order to raise one of the cougar’s paws. 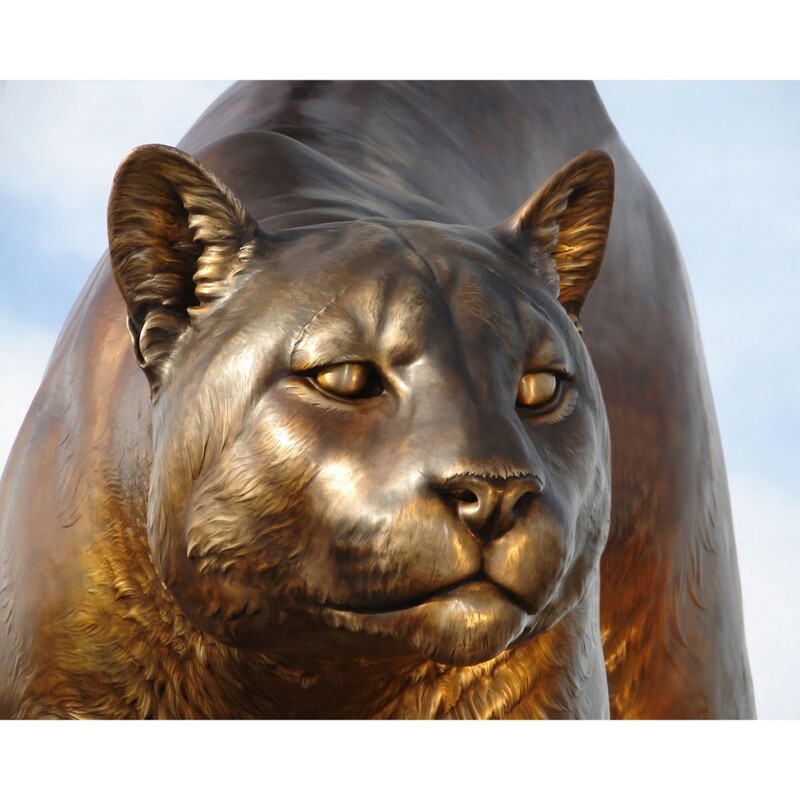 Unfortunately, a bronze monument will not stand without superstructure. The superstructure must be to code for wind and earthquakes. 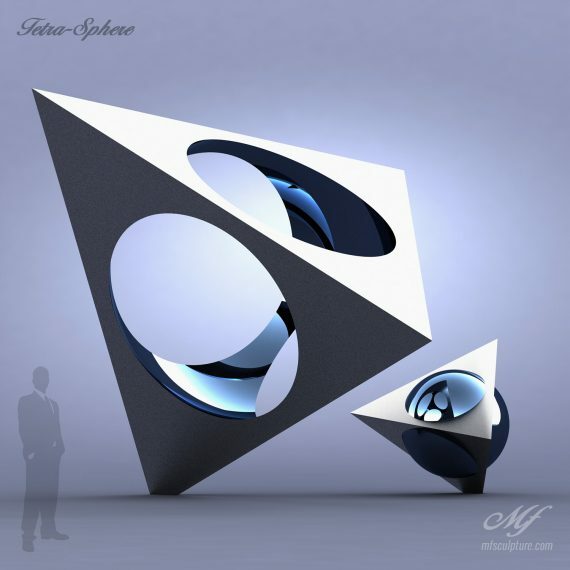 For this project we designed the superstructure and then had an engineer sign off on it. 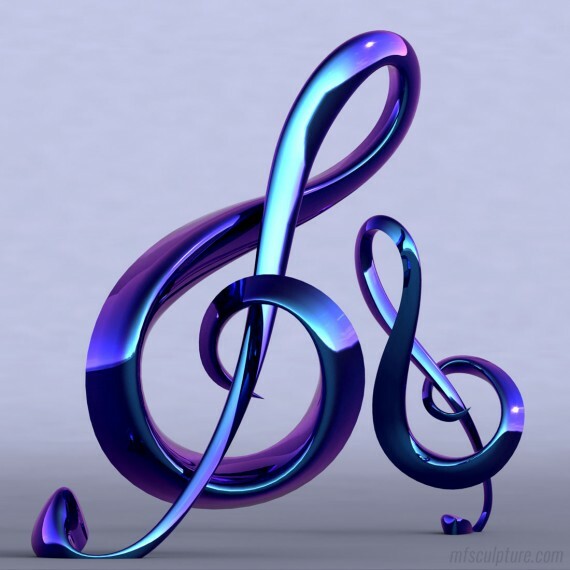 Sometimes the intuition of an artist is consistent with that of an engineer. 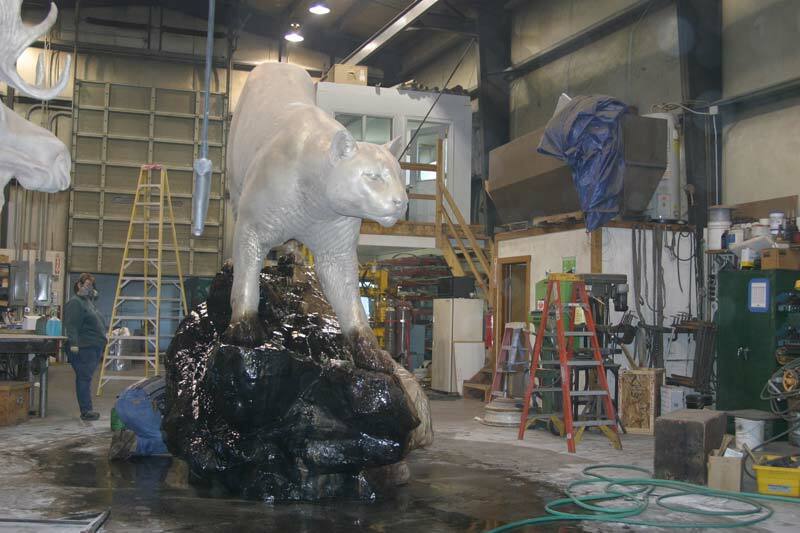 The superstructure was steel tubing and had to connect the cougar to the rock, the rock to the pedestal and the pedestal to the foundation. 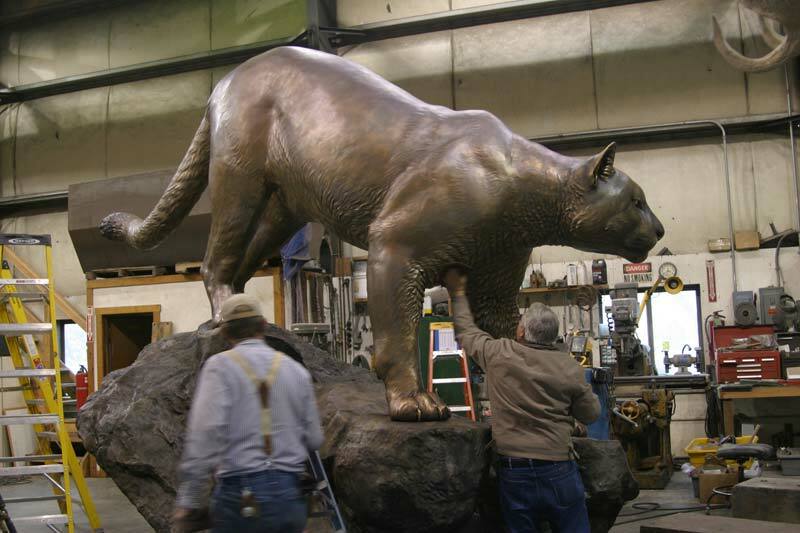 The tail needed solid superstructure since it was likely that drunk college students would hang or sit on it. 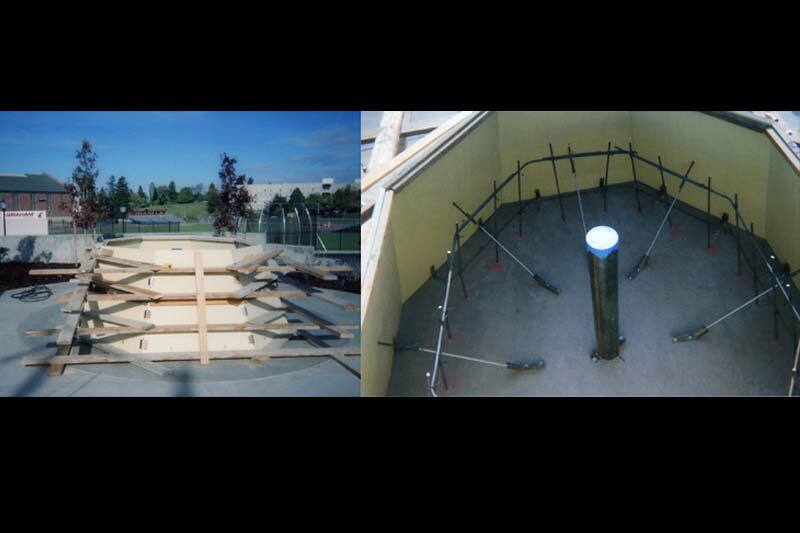 A solid 2″ diameter steel rod sleeves inside steel tubing and ties the foundation, pedestal and rock together. 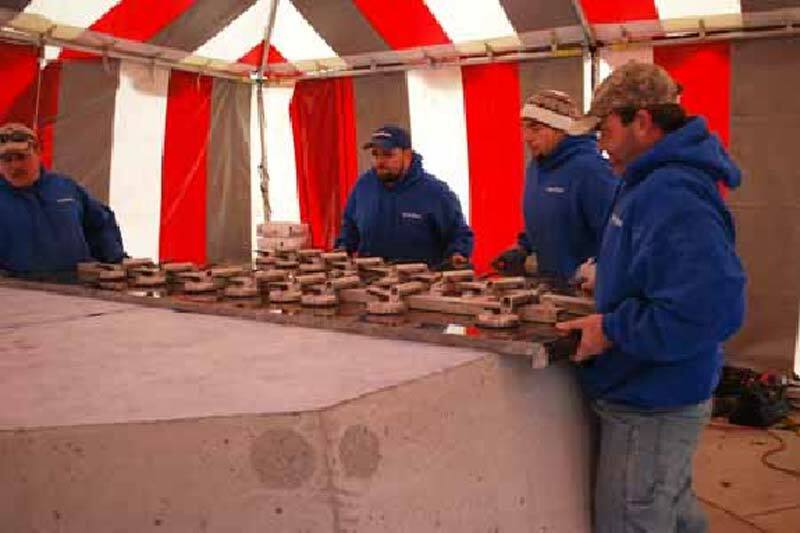 From a project management perspective, the foundation and pedestal had to be poured in line with the casting. 30″ deep of concrete was poured as a foundation. 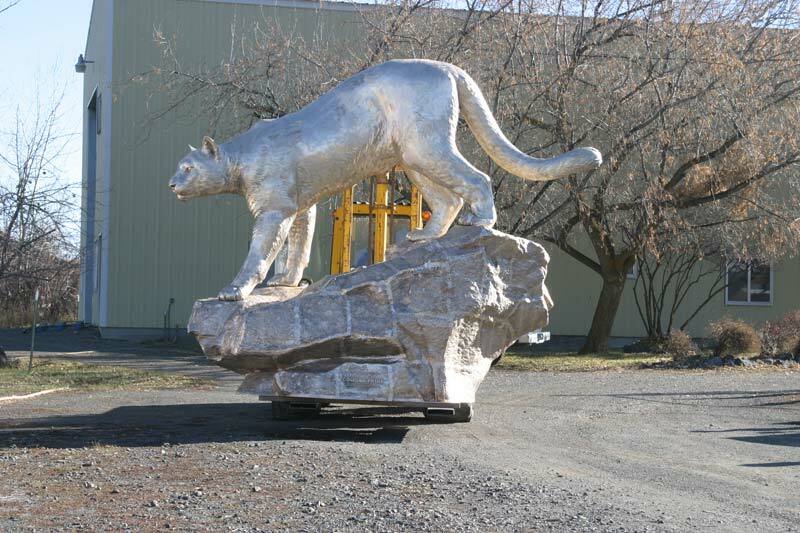 Originally, we planned to have a solid black granite rock carved and imported, but this offered a risk of missing our deadline and/or not fitting the cougar. 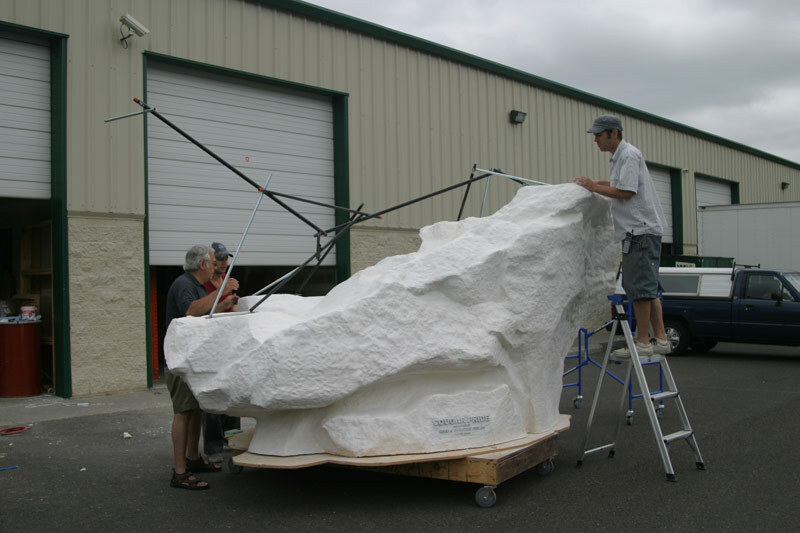 The granite rock was going to weigh 100,000 lbs. and the foundation was poured to support that. 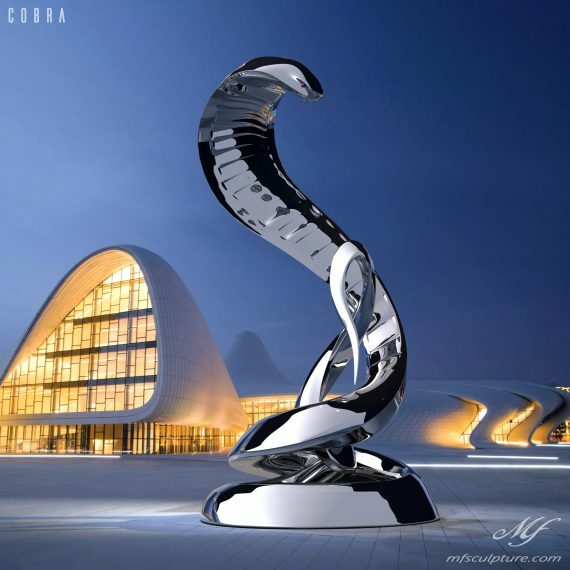 An elongated and tapered octagon was chosen as the pedestal design. 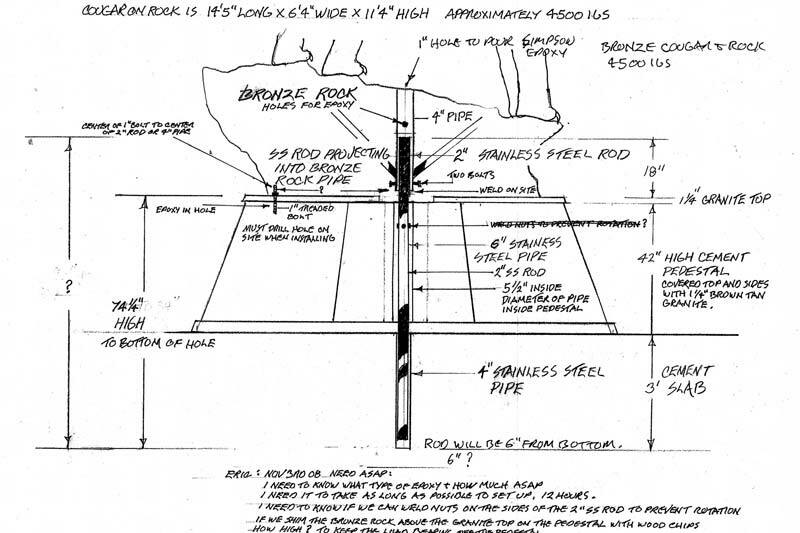 The concrete form had to be designed in CAD to ensure precision. 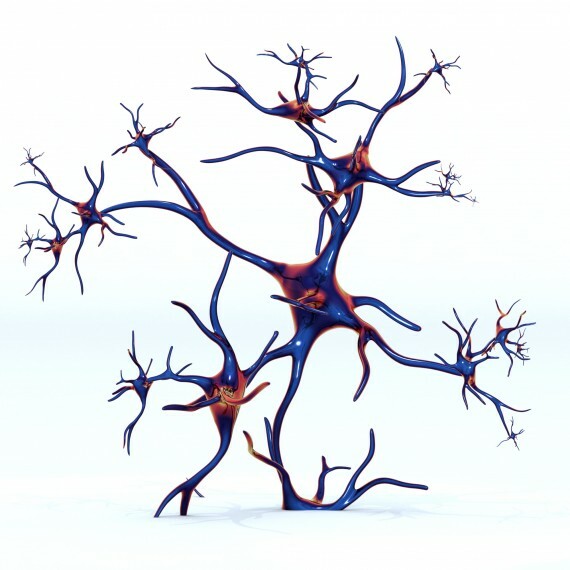 The form needed external and internal support. 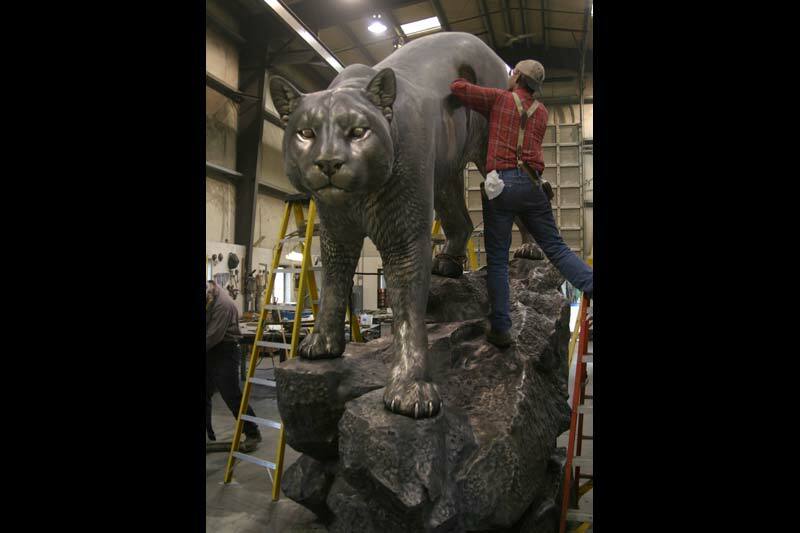 Once poured and given some cure time, the pedestal was ready for its decorative granite. 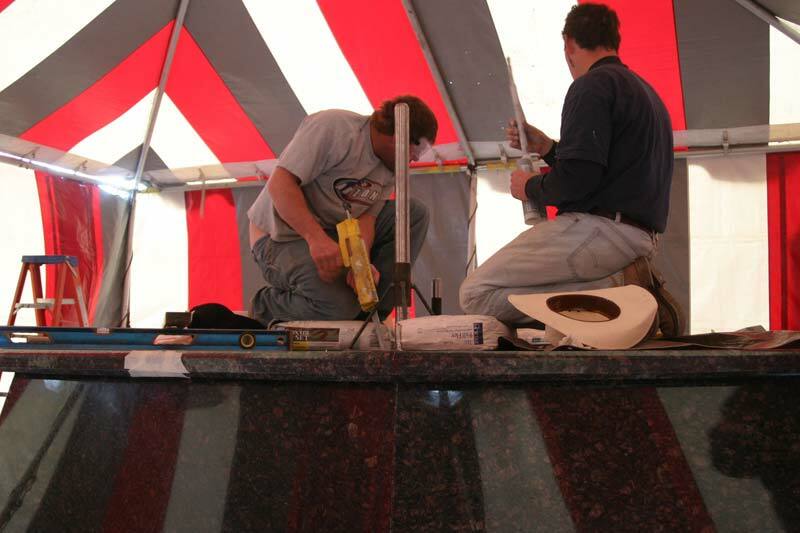 Tan Brown Granite slabs were precision cut and installed over the cement pedestal form. 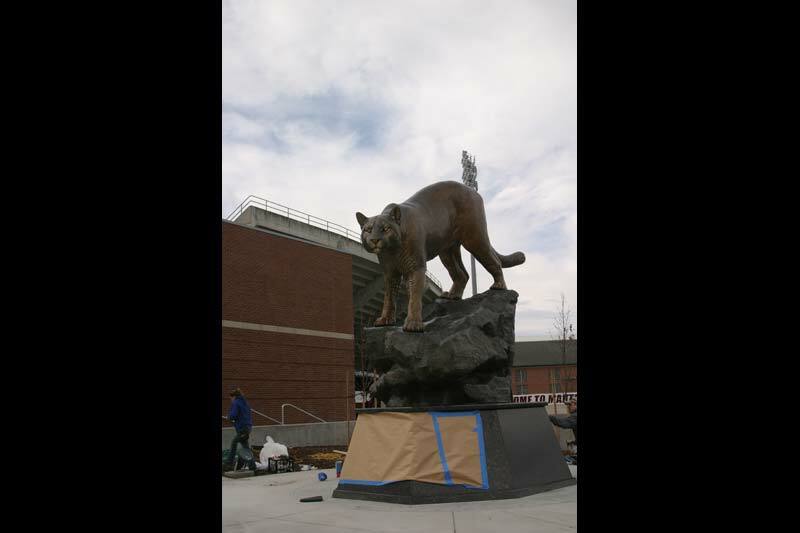 Before being installed, we had the WSU logo water jet cutout and inlaid and also had a dedication sandblast etched into the front facing granite slab. Since the cement continues to dry out and contract, it is not only important to have strong re-bar to reinforce the form, but it was also important to add a rubber bladder between the granite and the cement. This allows the granite to float on the granite. 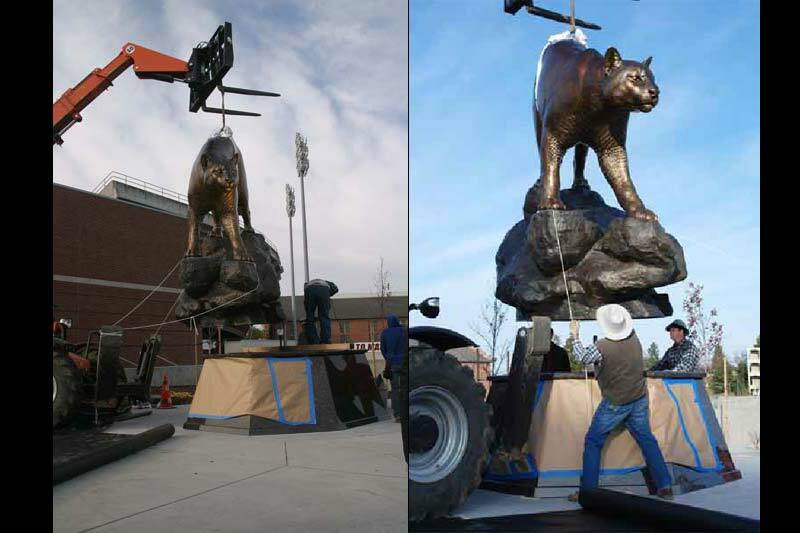 It turned out the granite weighed almost as much as the bronze cougar! Next, the solid steel rod was epoxied in place. We needed to have a custom welded support to make sure the rod was perfectly vertical since the tubing was quite a bit larger than the rod. 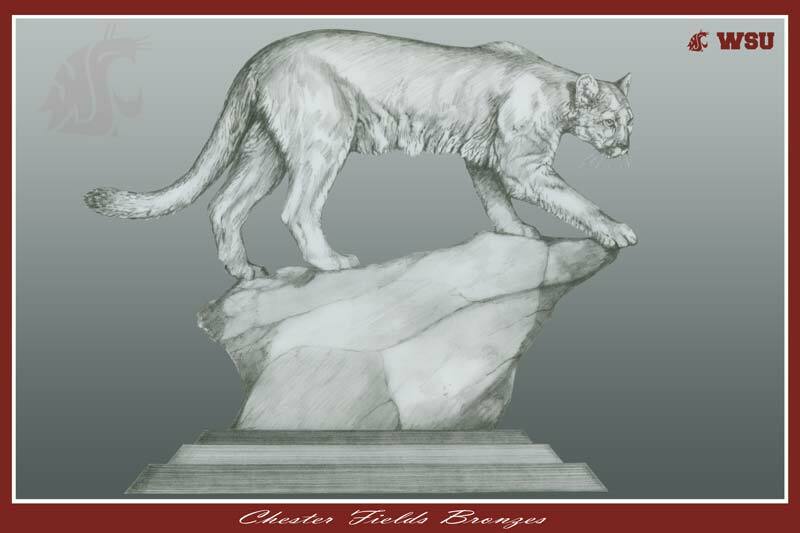 The cougar would suspend on this rod, floating just above the granite. We cut out a rubber pad to place on the granite to eliminate the gap and avoid chatter between the bronze and granite. 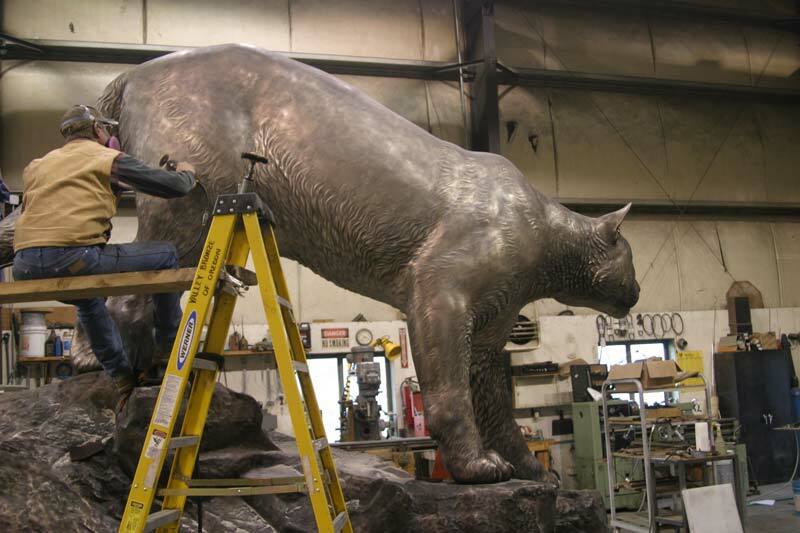 Now that the tooling is completed on the monument, it is ready for sandblasting which prepares the sculpture for patina. Sandblasting adds a texture that gives a “tooth” for the patina to adhere. 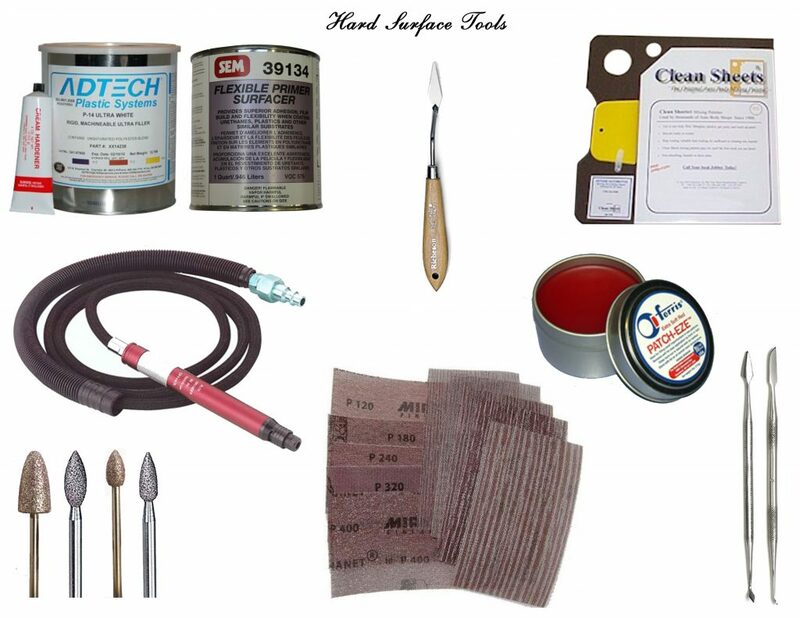 Sandblasting removes chemicals and oils that can affect patina application. 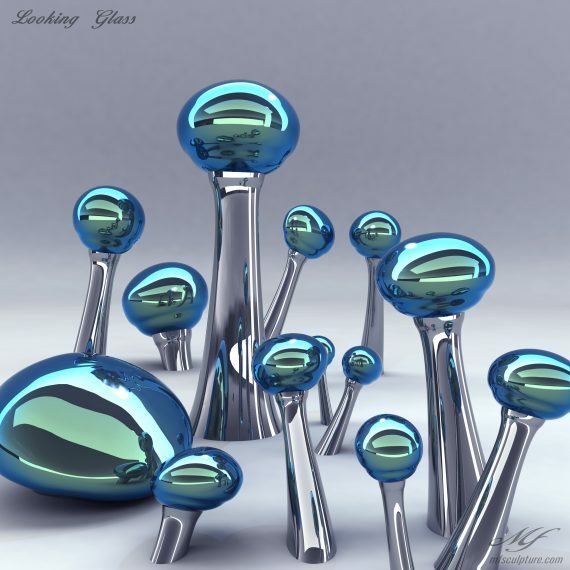 Sandblasting also reveals deformities, bogies and obvious welds by making the surface homogeneous. 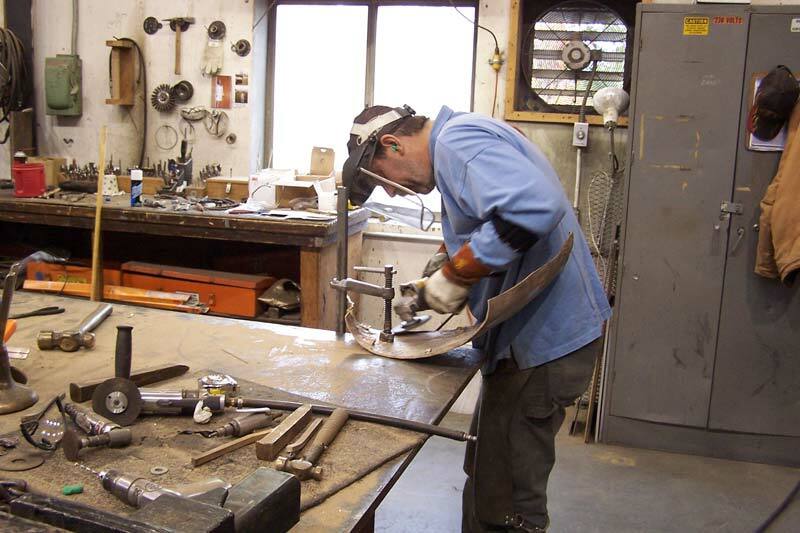 Sometimes it is necessary to rework the metal post sandblasting – this is called the 2% stage where an artist is given an opportunity for final inspection. 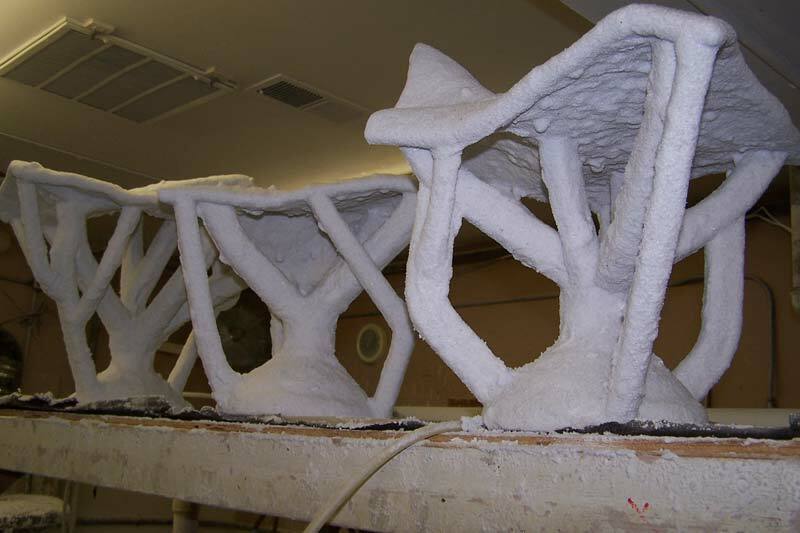 Sandblasting is a nasty process and definitely requires respiratory gear and good ventilation. 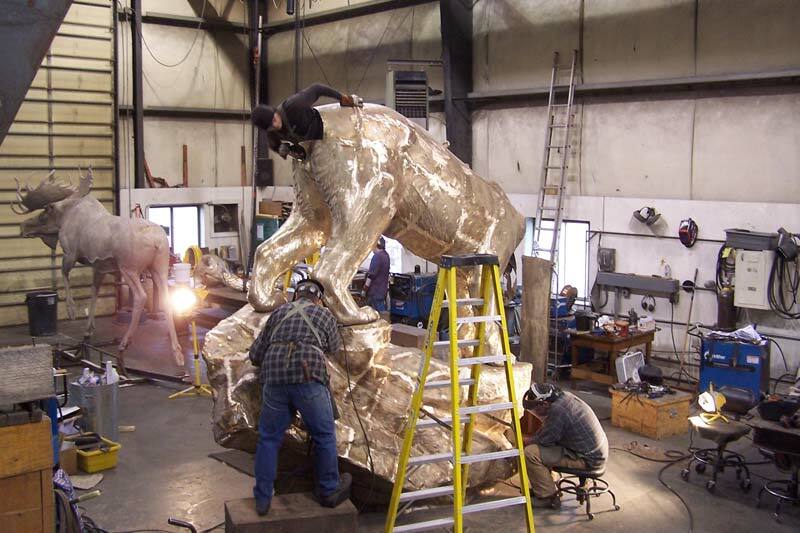 Now the sculpture is ready for the most exciting part of the process – patina. 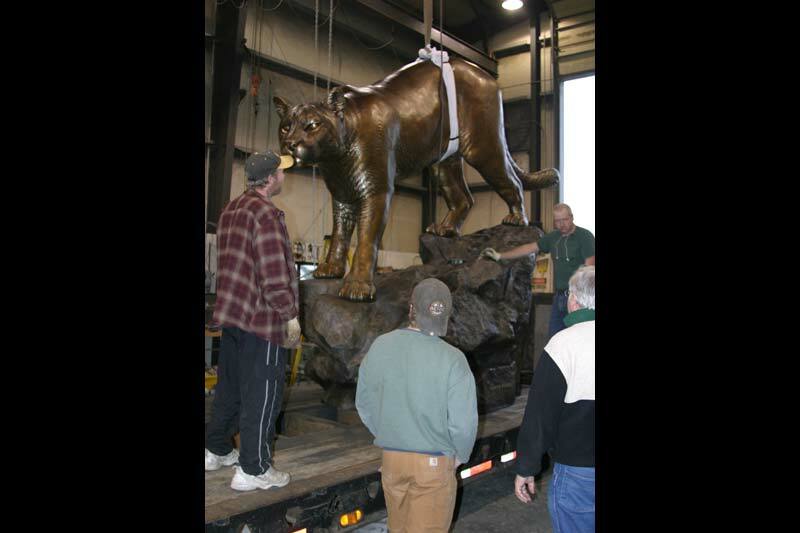 This is where dyes, chemicals, acids, waxes and clear coats are applied to give bronze its final look. First, the entire piece is coated in Birchwood Casey. This acts as a dark base coat. 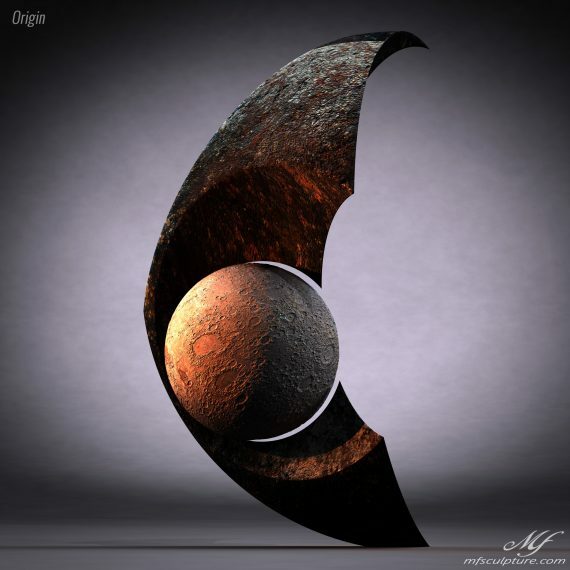 The patina process is opposite to how you might paint a picture. 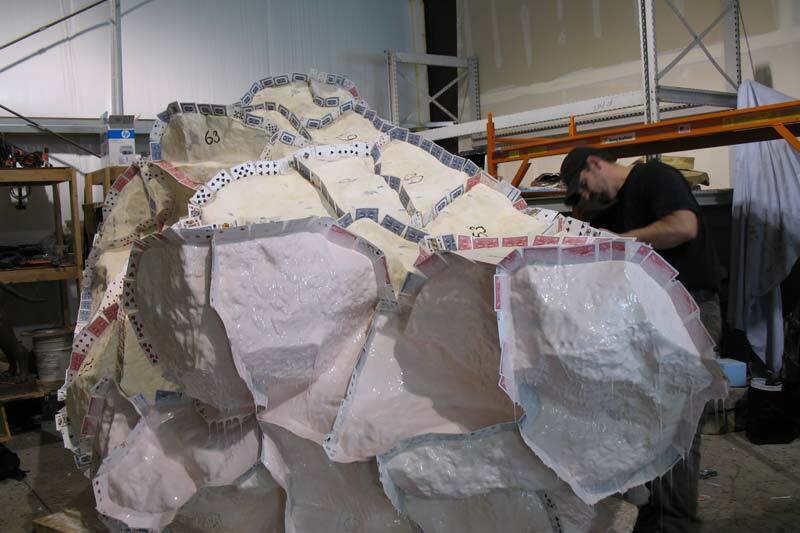 It is sometimes challenging, but it is important to get an even coat over the entire piece. Birchwood progressively darkens or “antiques” the bronze the longer it is left on. Water stops the chemical reaction. Sometimes, if the chemical is applied excessively or left on too long it will burn through itself and flake off creating further challenges. The entire piece is rinsed with water and now the real fun begins. 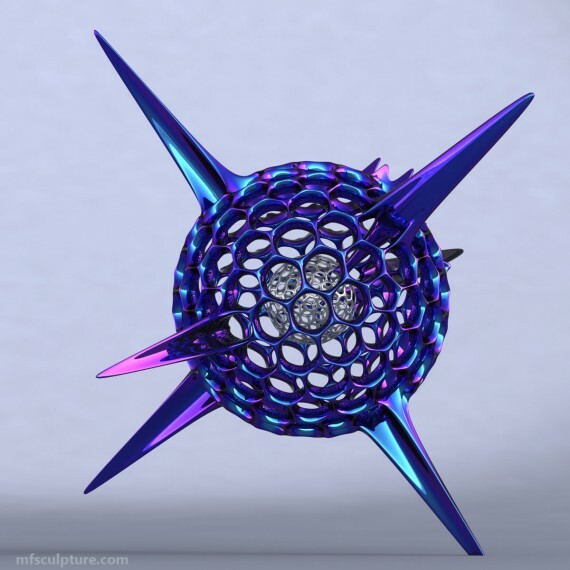 Secondly, the entire piece needs to be wire wheeled (pneumatic tool) or hand brushed with brass bristles. As you can see, the Birchwood Casey quickly oxidizes and leaves an unattractive rust look. This is tediously removed. Thirdly, the Birchwood is hand rubbed back. Some of the work has to be done with a pneumatic tool and scotch-brite wheels. This leaves the Birchwood in the recesses. 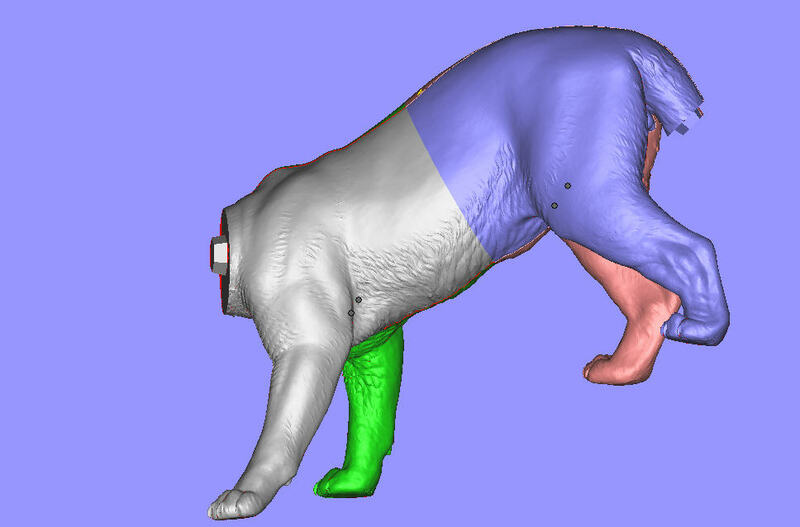 Areas that will be lighter like the hair detail, snout, ears, chest, eyes and muzzle are rubbed back farther. 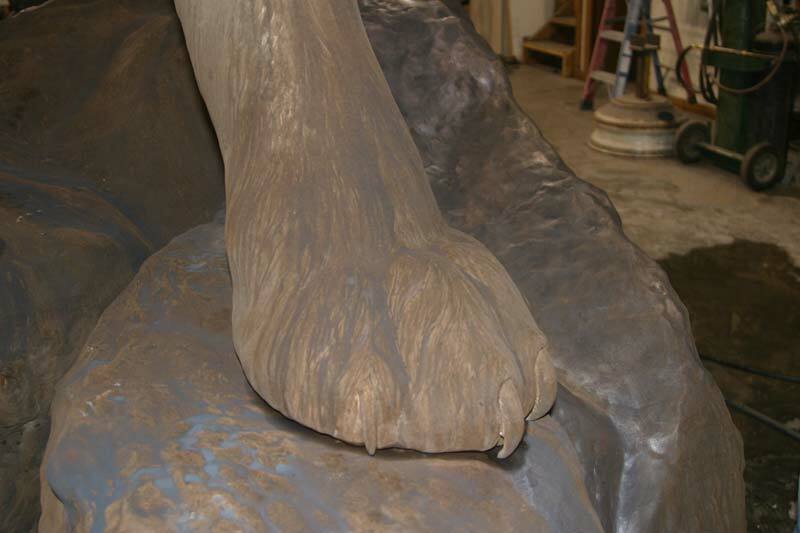 This actually is the most artistic part of the process for this particular patina. With care you can control gradation, subtle in some areas, aggressive in others and transitions where necessary. 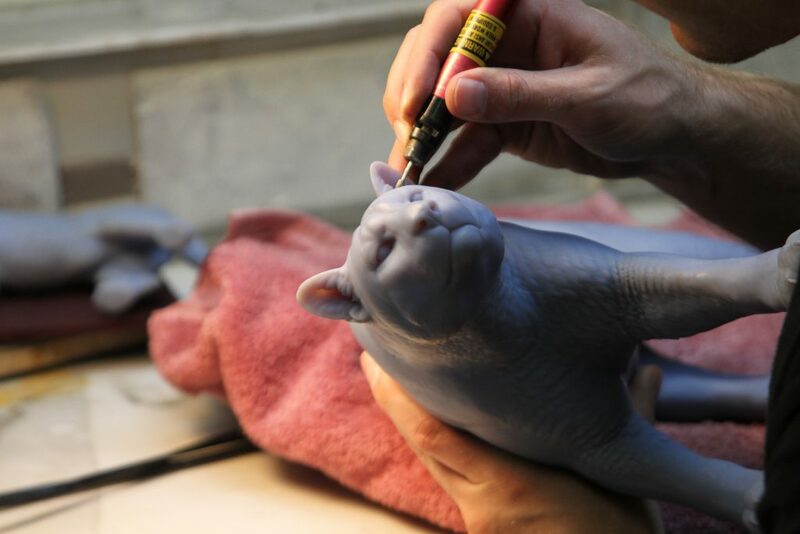 We wanted to give life to the eyes and claws so they were polished at this stage. Sometimes the patina reveals some imperfect metal work, which in this case had to be repaired and re-patinated. 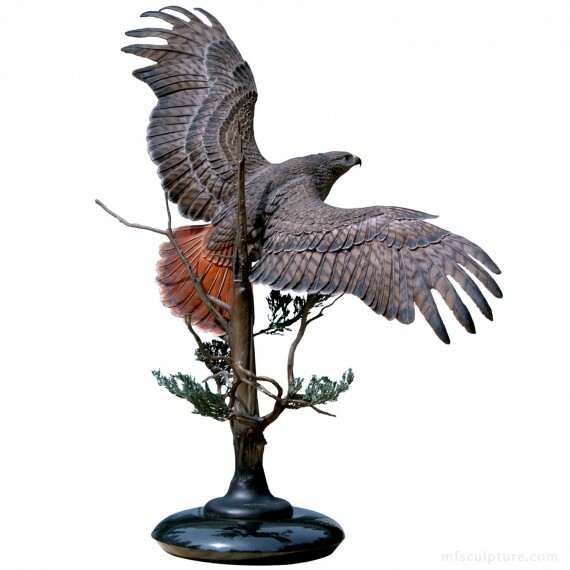 A skilled patina artist can do these local fixes and still keep the patina continuous, which can be challenging. 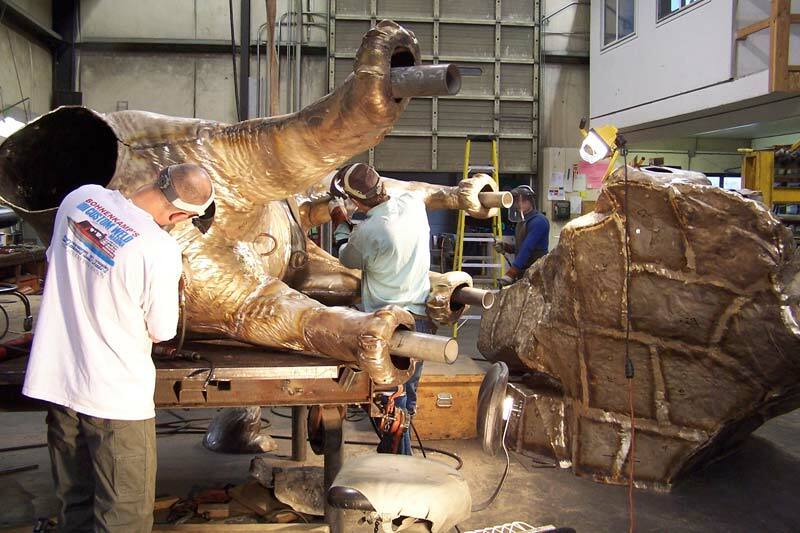 Fourthly, the bronze is heated to a specific temperature with a torch before, and as, ferric nitrate is sprayed on the sculpture. 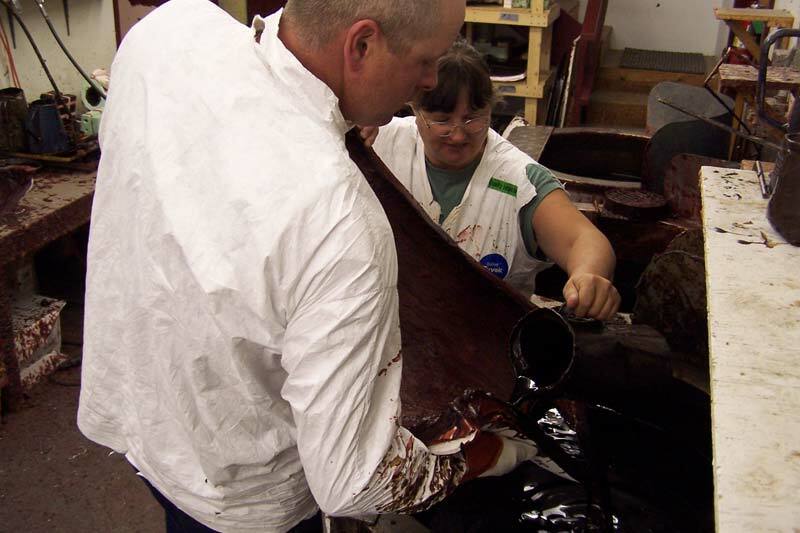 This chemical, depending on heat and application can vary from brown to deep red. It is a nasty chemical and requires a respirator and ventilation. Ferric will give a nice warmth to the piece that is lacking from the grey Birchwood. We rubbed back some more areas after the ferric was applied to make sure they stood out and gave some visual intrigue. 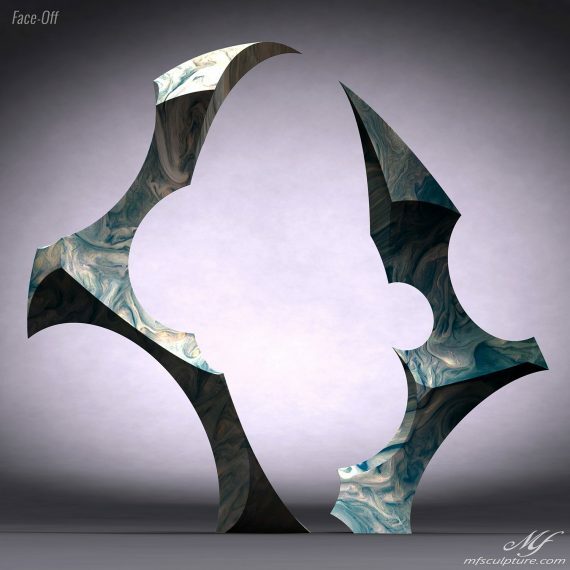 Generally, traditional patinas like this one darken over time so it is important to make things a little lighter and sometimes exaggerate contrast. 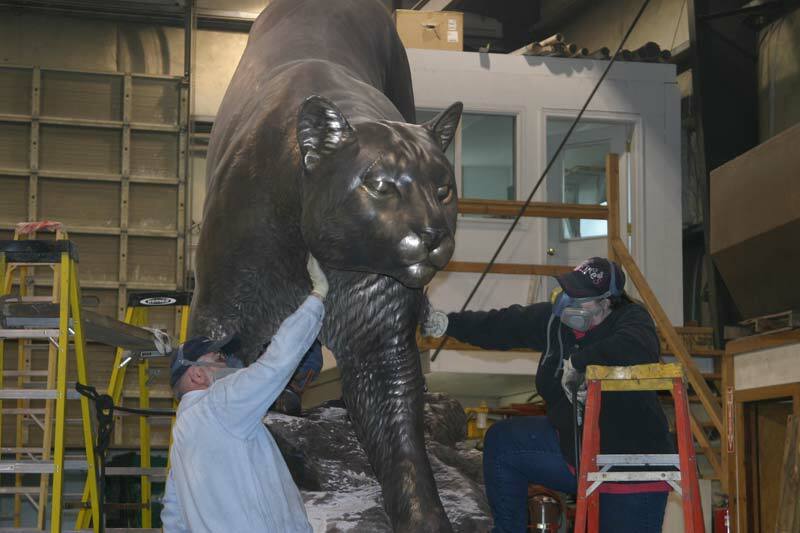 Finally, a clear coat is applied. 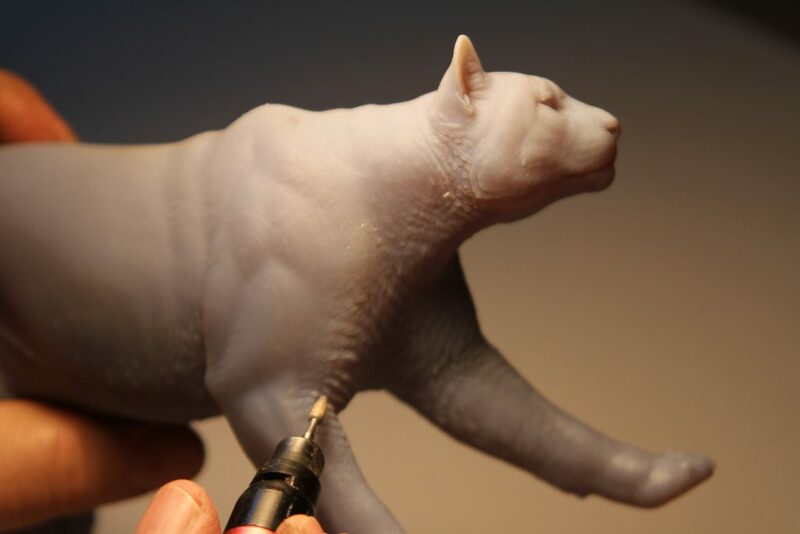 Traditionally, especially with small sculptures, just a wax is applied. 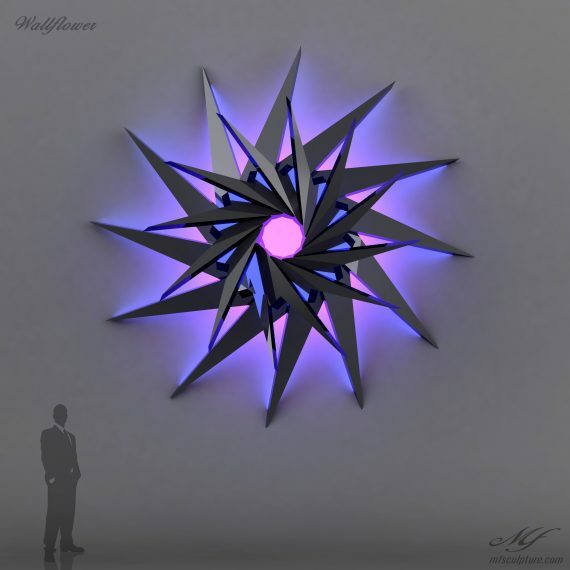 However, this piece is going outside and is subjected to the elements, including UV light, which degrades with the patina. We chose a Permalac clear coat with a wax finish. 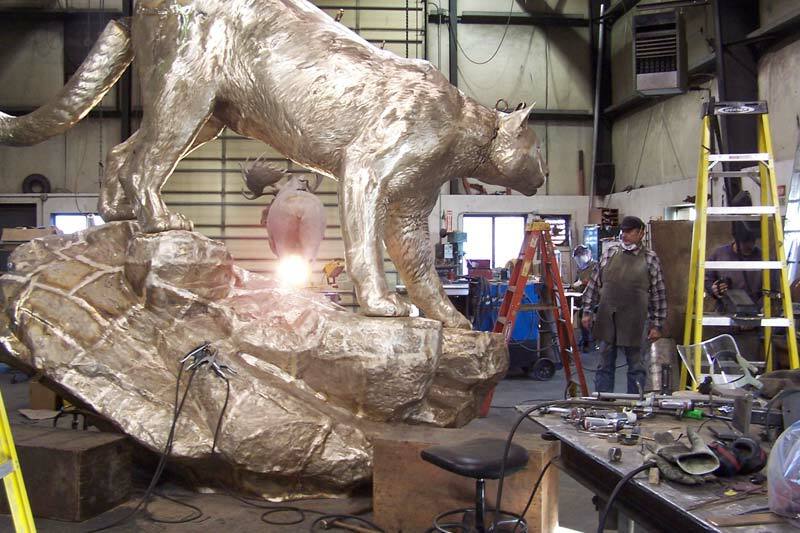 The wax should be reapplied every year and acts as one more protective layer the bronze. It also can knock down the sometimes too specular clear coat. Both the clear coat and wax really change the depth and saturation of the colors from the patina. 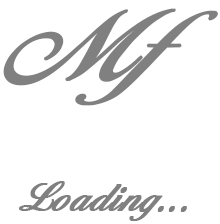 It is helpful to be accustomed to this so the previous stages are handled properly. 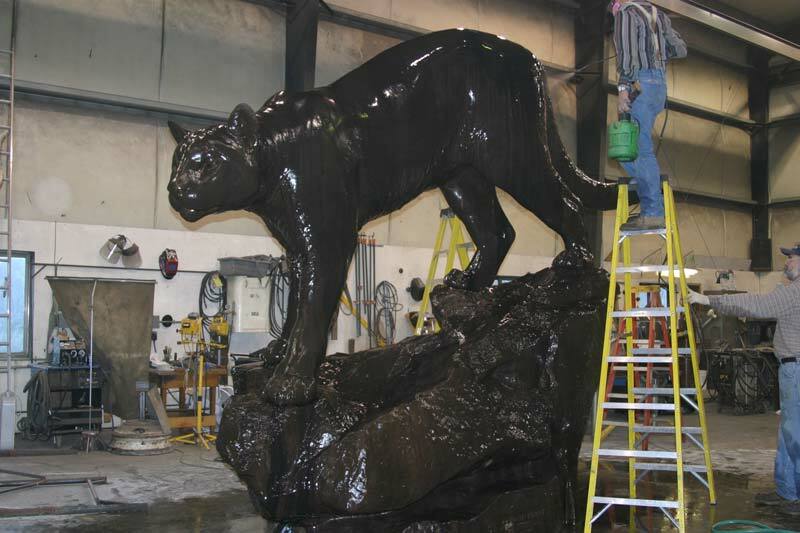 We also used a matte spray to knock back the “hotness” of the clear coat before waxing the sculpture. Too shiny can kill an organic look so we opted not to buff the wax. 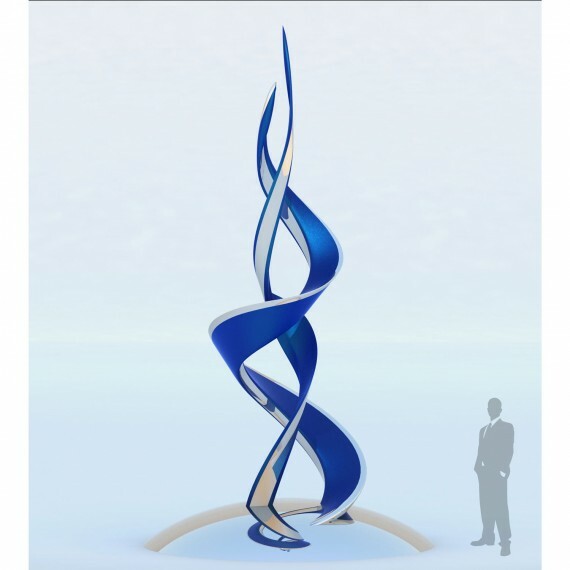 Now the monument is ready for delivery and installation. 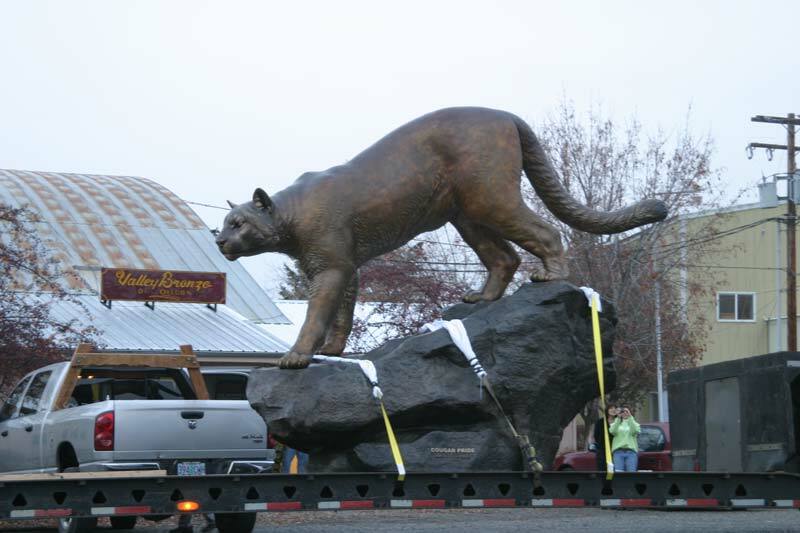 The cougar was picked up by its center of mass using a winch and placed on the trailer. 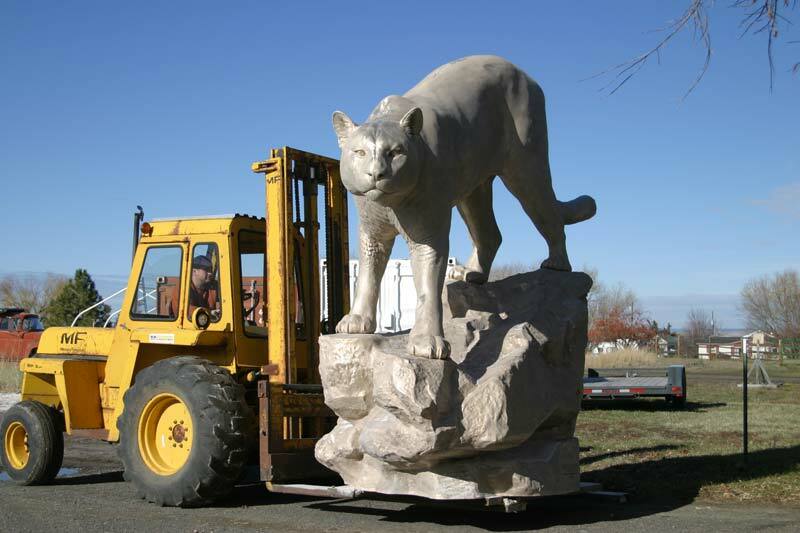 Once onsite the monument was picked by an 8000lb extension forklift. 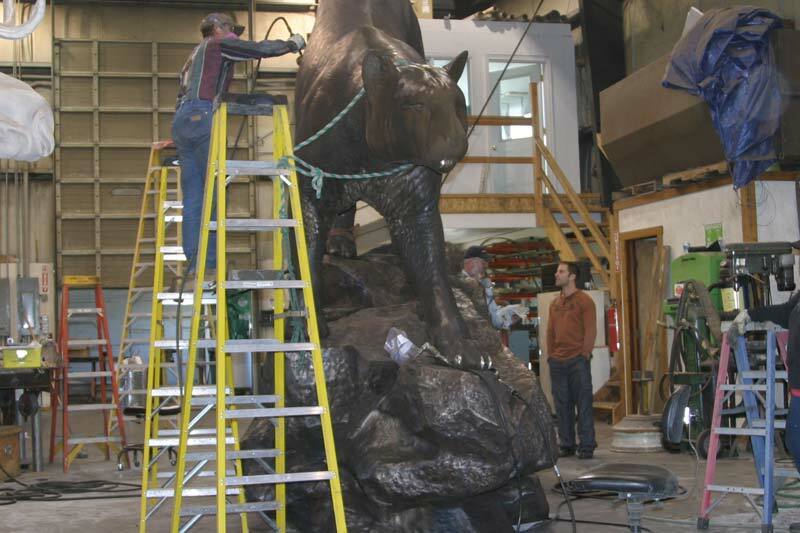 The sculpture had to be carefully lowered on the pedestal, sleeving over the rod and coming down evenly to avoid cracking the granite. We had a removable plug in the top of the rock that we could inject the remaining epoxy down through the tubing surrounding the rod. As soon as the epoxy set up everything was soundly tied together. 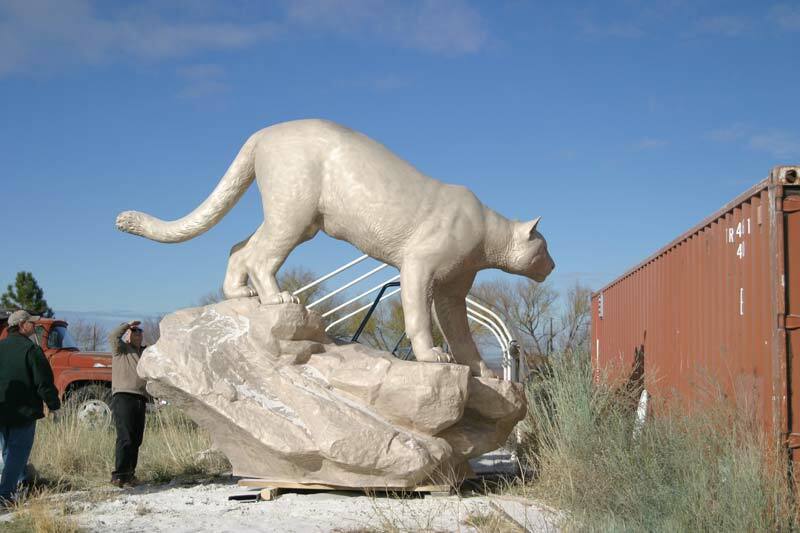 Originally our engineer, condescendingly asserted that we should not pre-epoxy the rod into the foundation, but rather leave it floating, get someone to quickly inject the epoxy into the base (getting between the rock and a hard place), lower the monument and then inject it through the top of the rock before the fast set epoxy went off. We rejected his authoritative instructions and thankfully so, because we found that the 15 minute epoxy sets up much faster when in an enclosed space heated by surrounding catalyzing epoxy. I mention this as a lesson. Sometimes you need to go with your own intuition and experience and reject authority! Surprisingly, this project required 17 independent contractors to complete. It is important to manage the project to guarantee everything comes together when it needs to. Generally everyone is late and over budget so account for this in your timelines and stay on each subcontractor. If anyone tells you “don’t worry” be worried. Ideally a contract is a good idea as one sub can throw the entire project off. 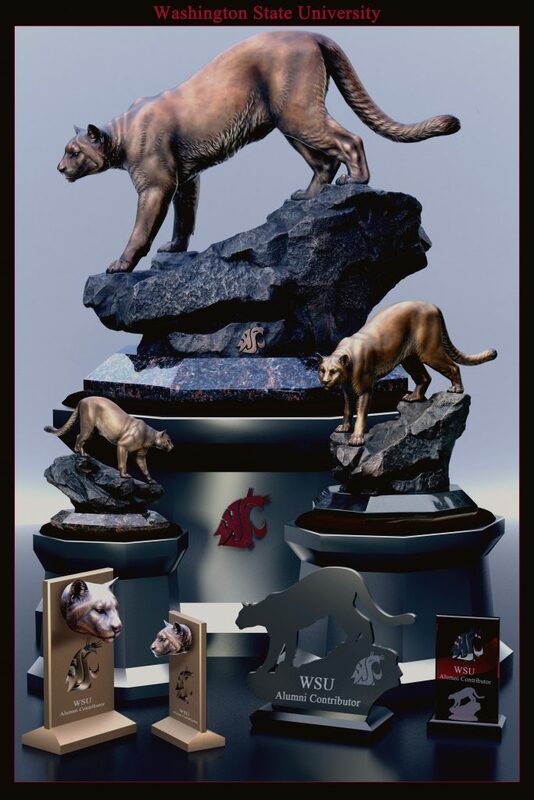 We had Apple Cup as our deadline, so being late was not an option. 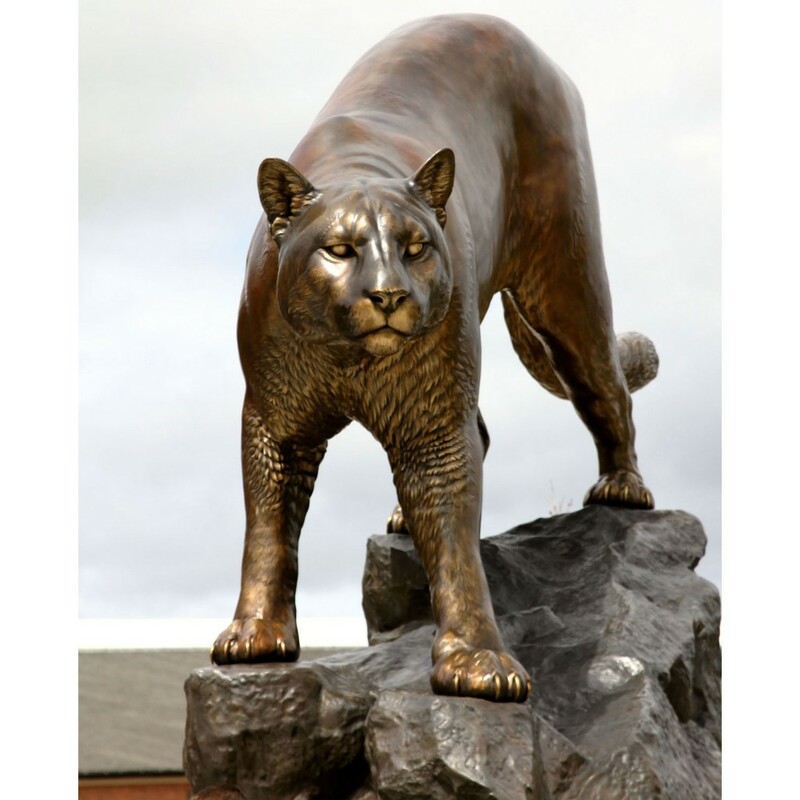 Now that the monument is in place and ready for the dedication it is time to make some small bronze replicas to be sold to alumni. 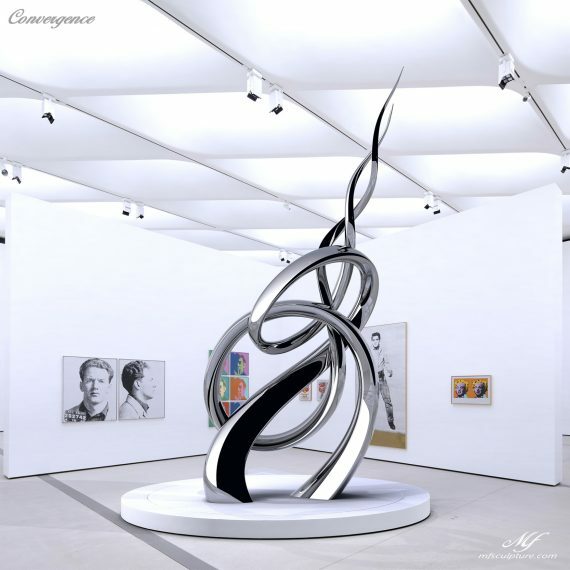 The monument was first scanned with a large format scanner and then a high resolution ATOS scan was performed and stitched over the large format scan to maximize resolution and the accuracy of overall geometry -marvelously performed by Additive Workshop. We would be creating an 11″, 18″ and 30″ version, the latter had to be created using SLA because it was not feasible on the smaller format Objet printer. 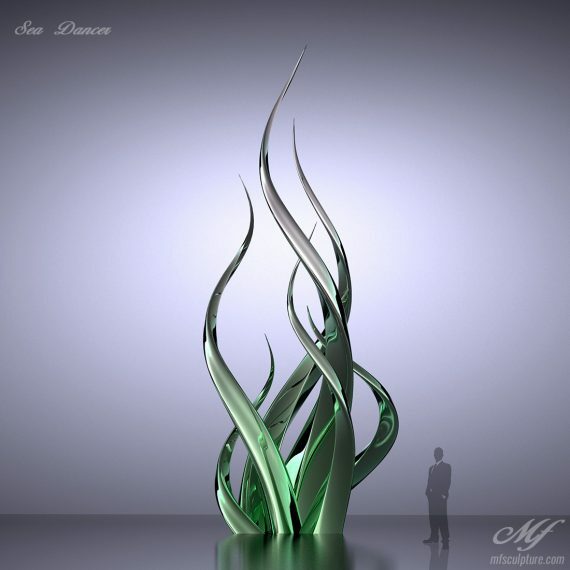 The 11″ and 18″ were printed on the Objet, which has greater detail than SLA. 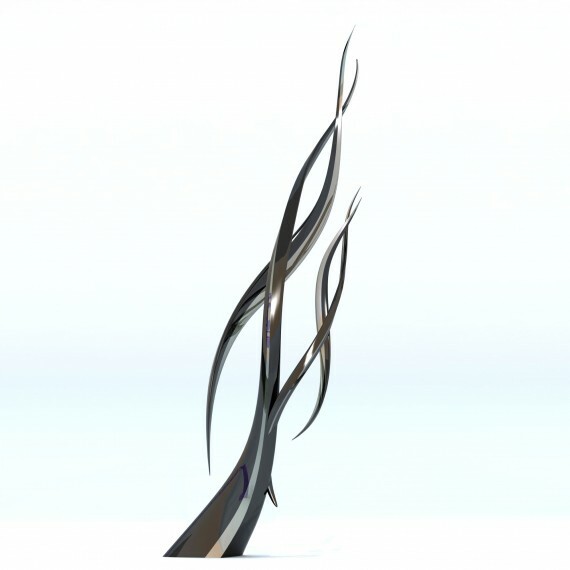 The sculpture had to be digital cut up to best plan for rapid-prototyping. 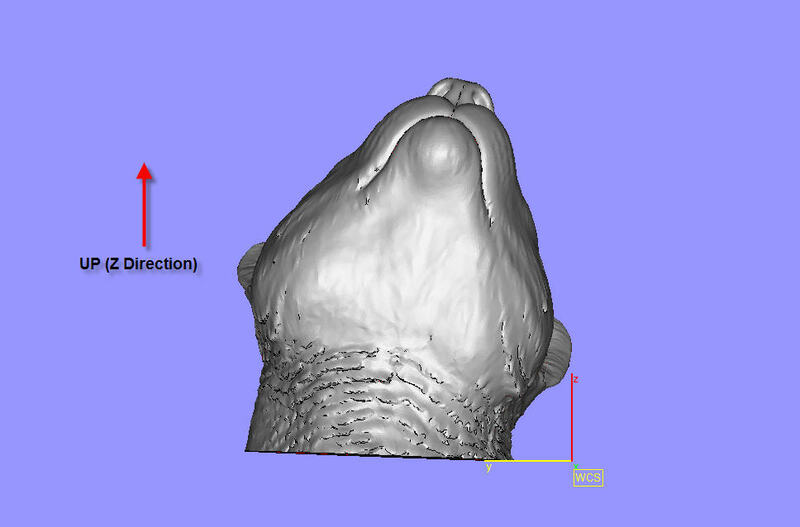 It is an optimization problem as the printer creates build lines which reduce detail. 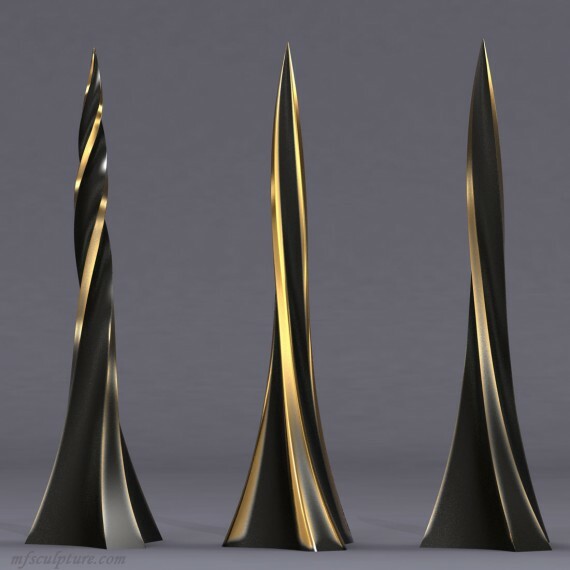 For example if you were printing a long cone you would want to print it with the tip up to maximize resolution but this would increase build time and therefore cost. Kelyniam Engineering/ M2 Systems did the SLA work and put a lot of time into creating hexagonal male/female fittings so that each part would be precisely come together. Additive Workshop did the objet printing and did a great job as well. The rapid-prototypes came out beautifully, but unfortunately there is still finish work to do. The tiny build lines, sometimes hard to see or even feel will be captured by the silicon rubber mold. If you look close you can see them in one of the images. The build lines must be filled and or tooled to eliminate them. I learned the hard way and had to use my molds as scrap molds. 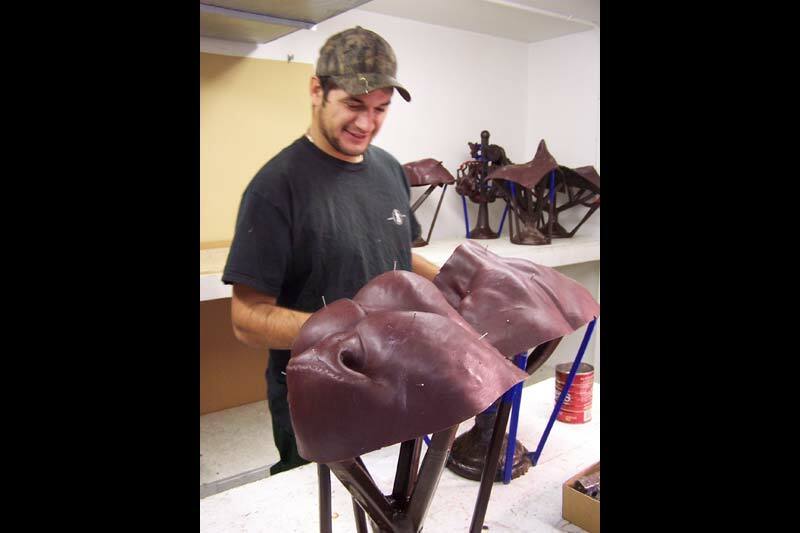 We poured new resins in the scrap molds and I retooled them with more diligence. 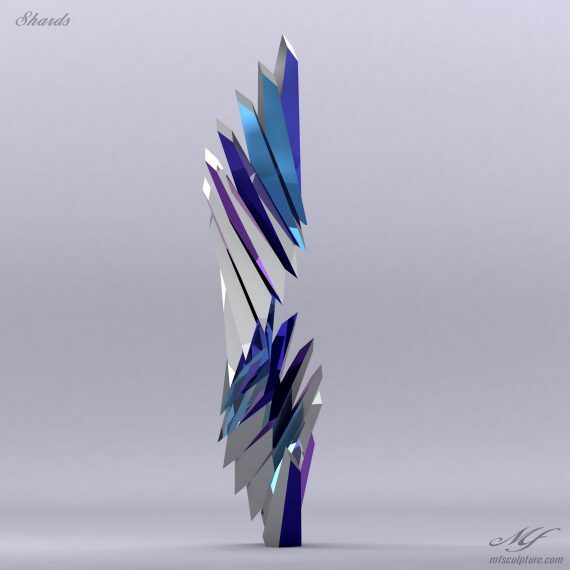 In some way, this is kind of necessary as the build lines are not just on the surface but penetrate into the piece with a slight gumminess in between layers. This means that no matter how hard you work they do not go away in some areas. I assume this is a cure issue. 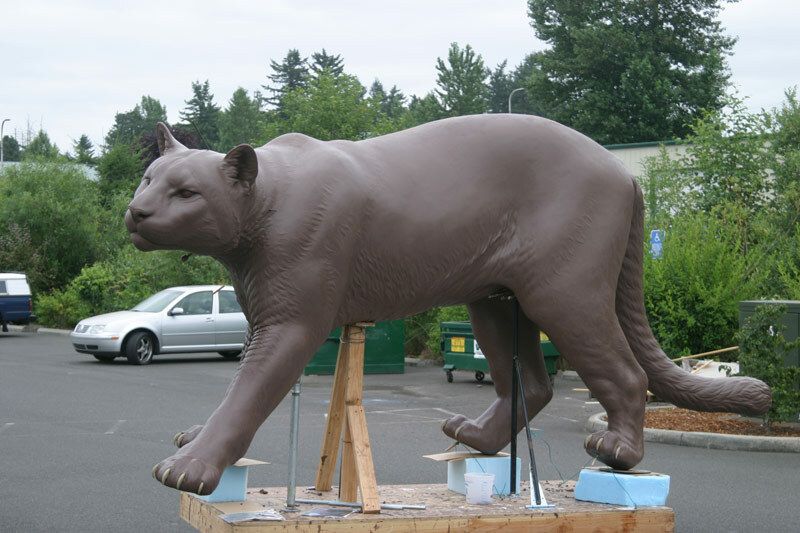 In some cases I assembled the parts together before cleanup, but in the case of the large cougar it was easier to work on it in parts first. I joined the parts with a high grade aerospace filler (you can use car body filler as well but the good stuff is smoother and less prone to creating pinholes). 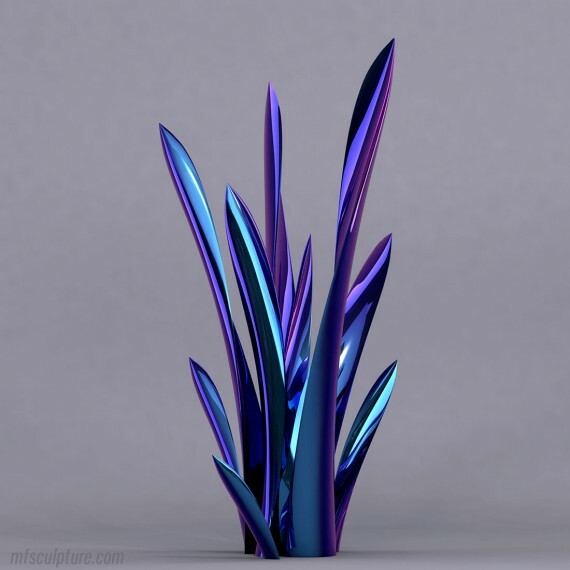 There are different color catalyst – it is best to choose one that matches your model best. The seams were tooled with die grinders using ruby and diamond bits. Then the seams were sanded with progressively finer sand paper. 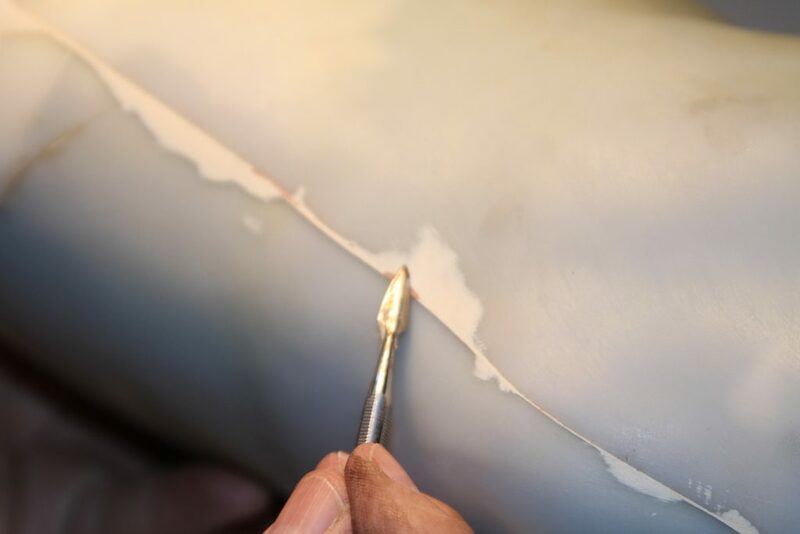 The seams are sometimes challenging to merge since the filler and the prototyping resin are a slightly different shore hardness. Some of the detail was lost, mostly in the SLA version. I spent dozens of hours retooling and accentuating the detail. I used a primer as well as the filler to fill in the build lines and tool and sand them back. This is a lengthy and tedious process. The SLA (Stereolithography) resin was fairly hard, so sanding took a while. 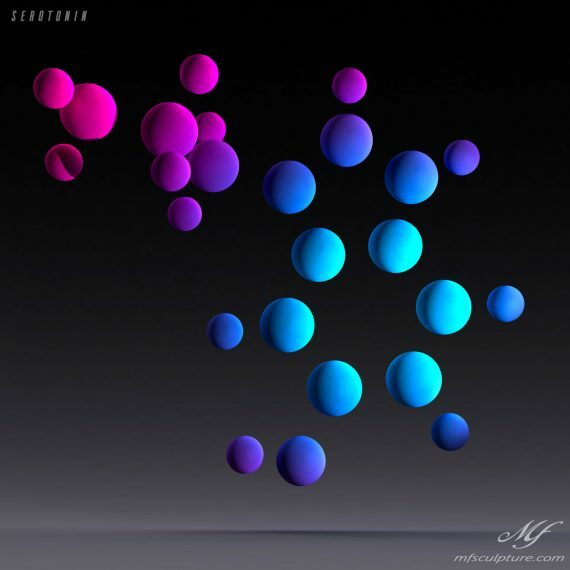 It was also semitransparent. 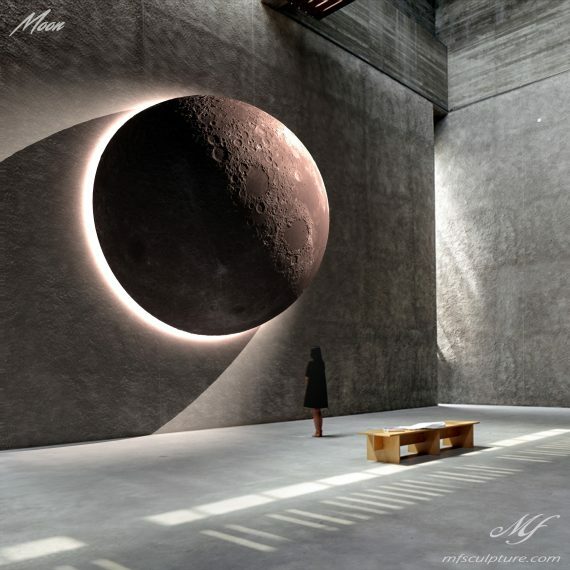 Since good contrast lighting is important, this created a challenge of seeing the surface. Pinholes can be a nightmare. I fill the reluctant ones at the very end with wax. 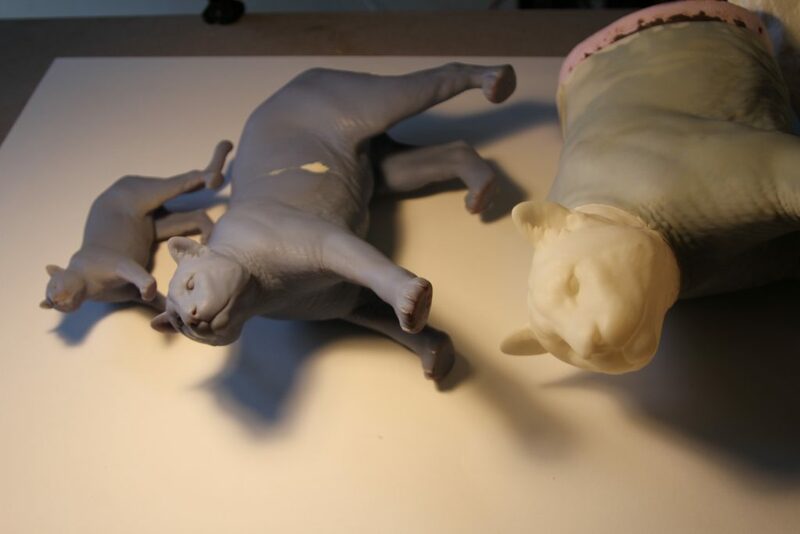 Rapid-prototyping is a blessing because when you finish a sculpture the last thing you want to do is re-sculpt the same sculpture in different sizes. 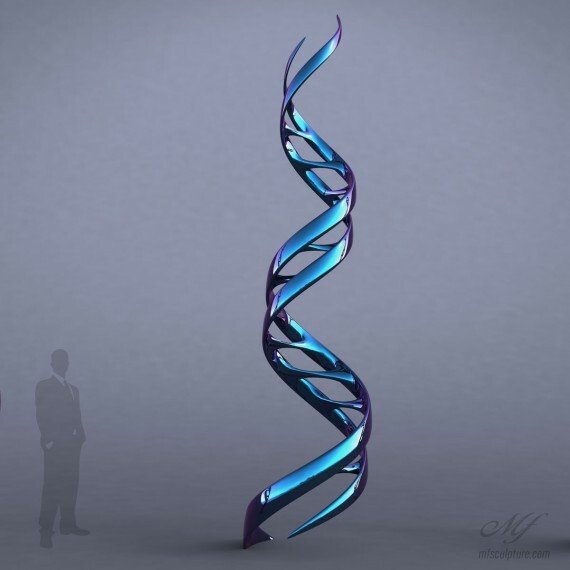 Also, it is impossible to create an exact replica. Thank you technology! 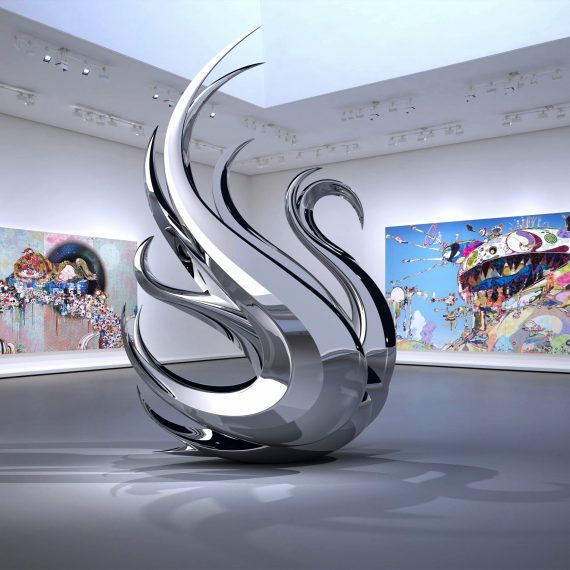 Some artists resist the advancements in technology, but the fact is that artist throughout the ages always were on the leading edge, taking advantage of whatever tool or tech they could, from the projector for painting to systematic enlarging. 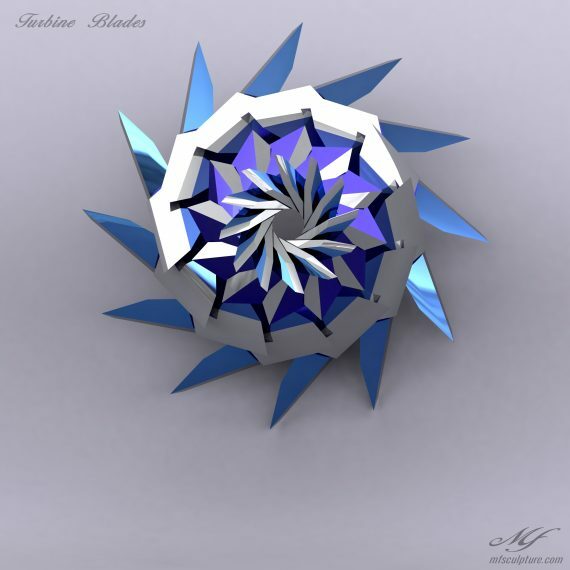 Tools are tools and creation is through the artisan. 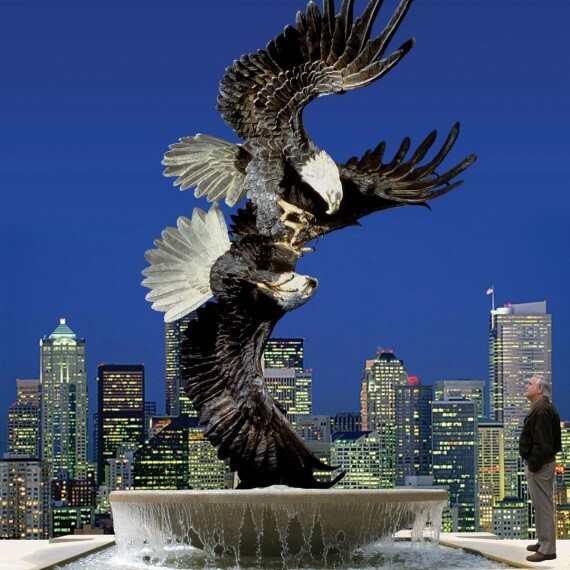 This project was a spectacular experience and the monument and the replicas have been received with immense gratitude. 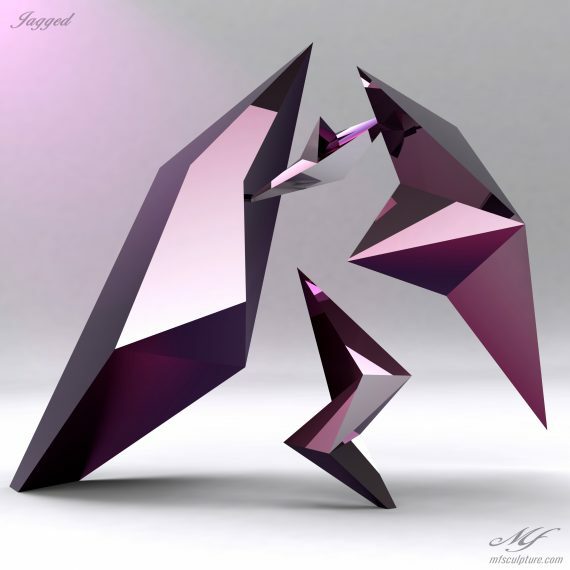 This was a rewarding and challenging project. It was fun being able to use the latest technology on this project (completed in 2008). 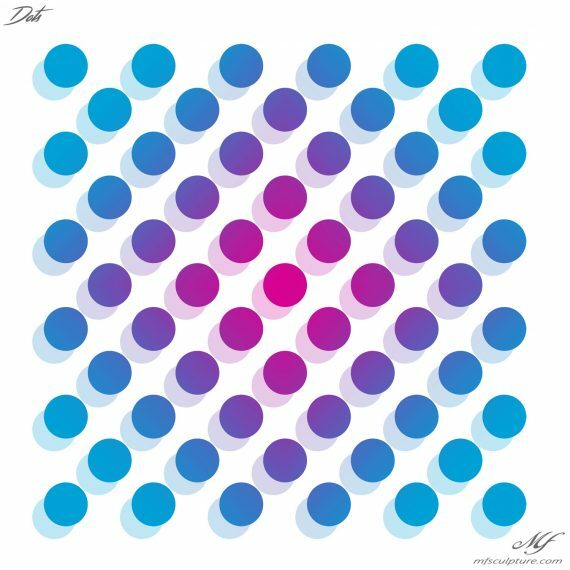 As far as I know I was the first to use the entire sequence of technology end to end on a project of this kind. Remember the importance of presentation. 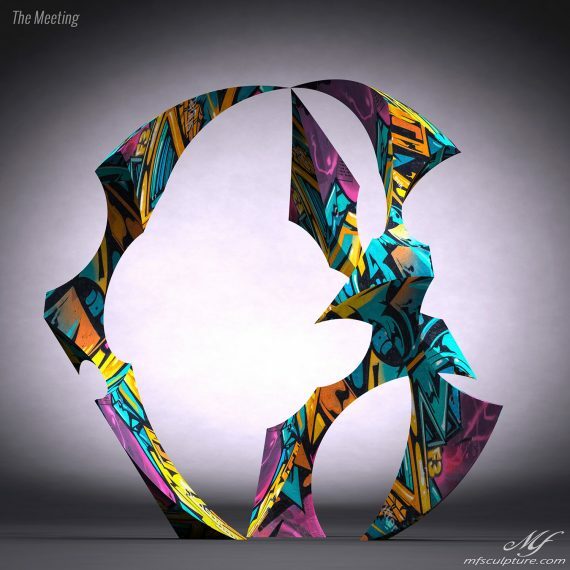 We were up against 65 other artist nationwide, but won the project because we went above and beyond in our presentation. Unfortunately, to stay in business you have to be a salesman, marketer, legal mind, and business professional in addition to being an artist. Don’t underestimate the need for contracts. Unless you prefer to learn the hard way. 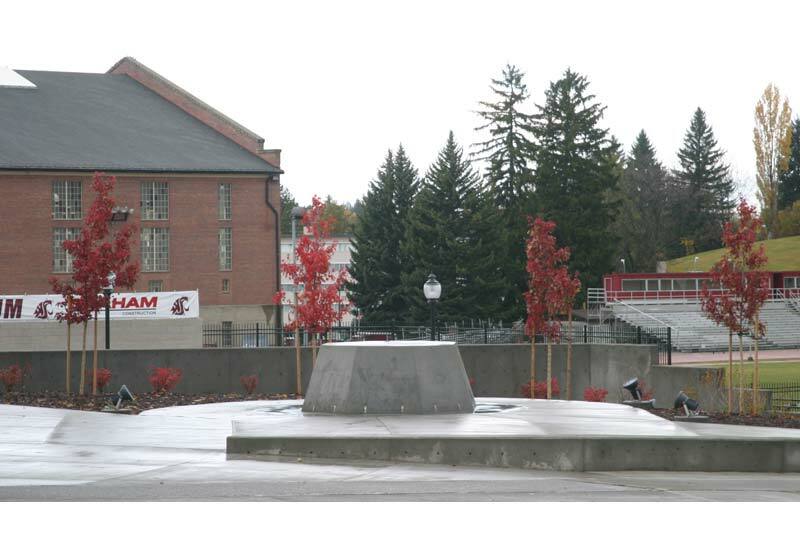 WSU’s football team now has a tradition called “Cougar Prowl” where each player touches the monument before the game.